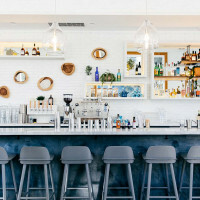 We’ve gathered intel from far and wide, using the best of our TVR abilities to discover 77 venues that have opened around the world from last spring till now, and some that are soon to swing their doors open too. You might find an urban winery in your city. You might find hotels in your own neighborhood you had no idea existed. You might even find a few places you’ve been busting at the seams to host an event with. 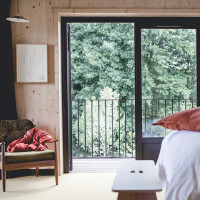 If the sheer quantity of venues on this list is any indication of a worldwide desire to connect, gather and celebrate just about anything, consider us impressed. 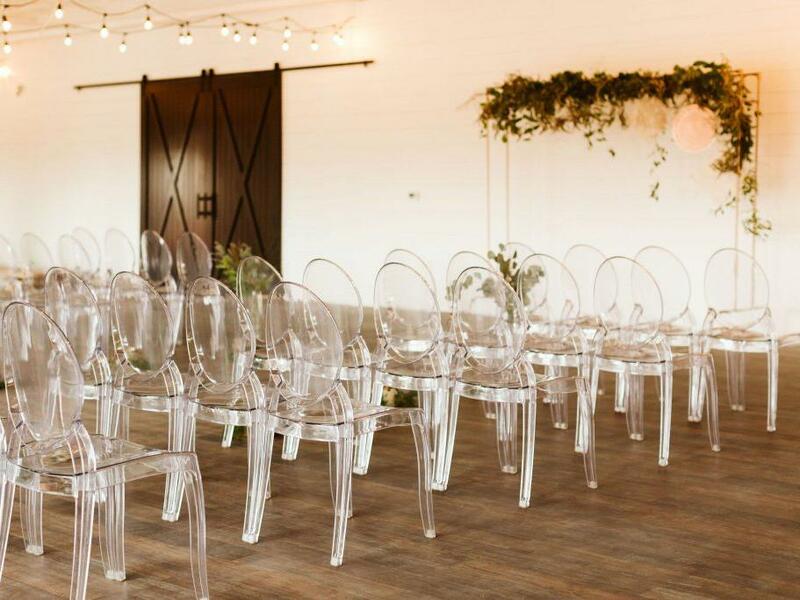 There’s a beachside barn in Australia where you can host an environmentally conscious wedding with lodging for all your guests. 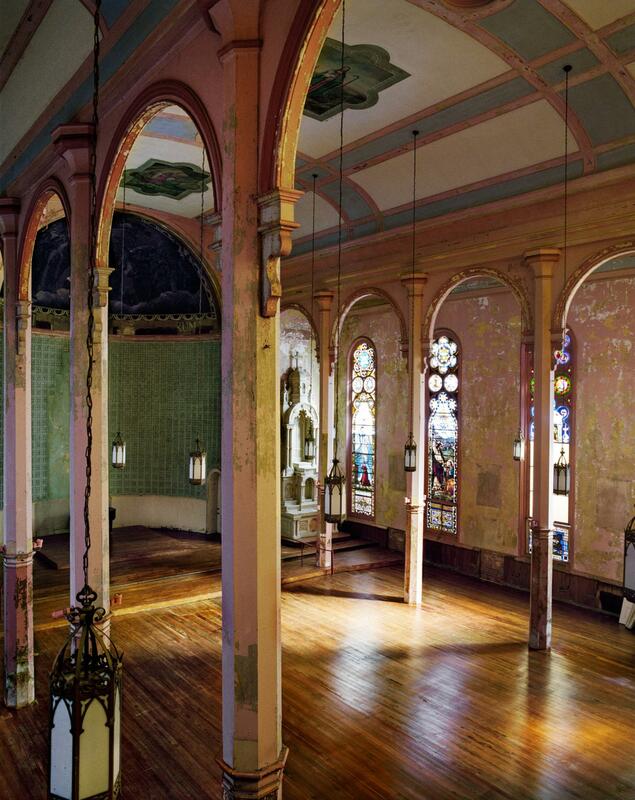 There’s an old church in New Orleans filled with relics that doubles as an incredible photography and styling workshop space. There’s a new hotel in downtown Portland that’s killing it by celebrating the head chef’s Texan roots. 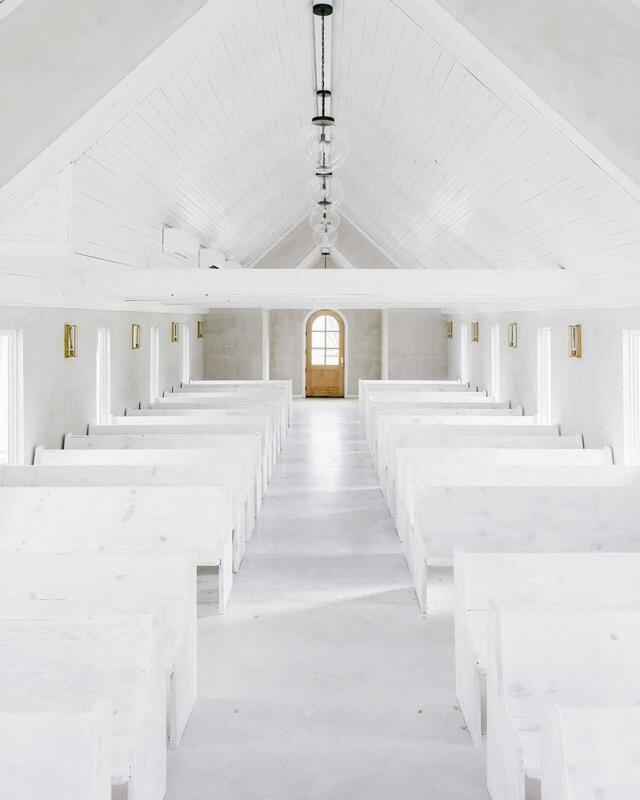 There’s even a cute little hideaway in the countryside of Idaho where the sweetest family of all time is ready and waiting to make your wedding dreams come true. Whatever kind of venue you’re on the hunt for, we sure hope you find it in the list below. Tucked away in the heart of Napa’s wine country, this private estate in Calistoga spills across acres of olive trees, old oaks and beautiful scenery. In the heart of it all sits a contemporary white party barn and a cute little farmhouse with a pool. 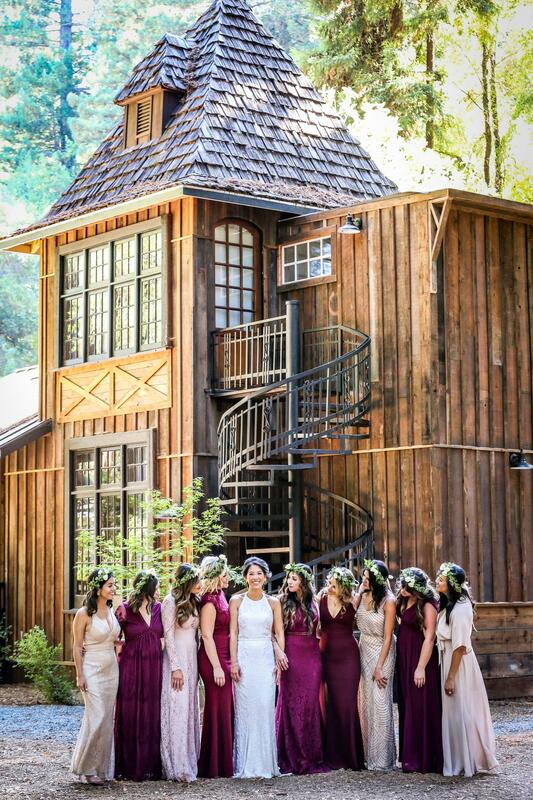 Good for: a California wine country wedding, exclusive events of up to 250 guests, corporate and social gatherings, fundraisers. Foxfire La Collina feels more like an old Spanish hacienda than a getaway that’s as close as the Catskills. 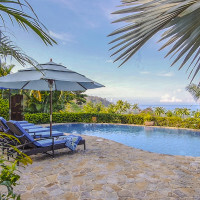 The property sleeps 16 guests in a mix of cabanas and a large main house. Good for: there’s a real romantic courtyard that’s perfect for intimate events and you can easily arrange a tent for the lawn if you’re planning a wedding. The space is equally amazing for retreats, photo shoots, workshops, weekend getaways and the like. 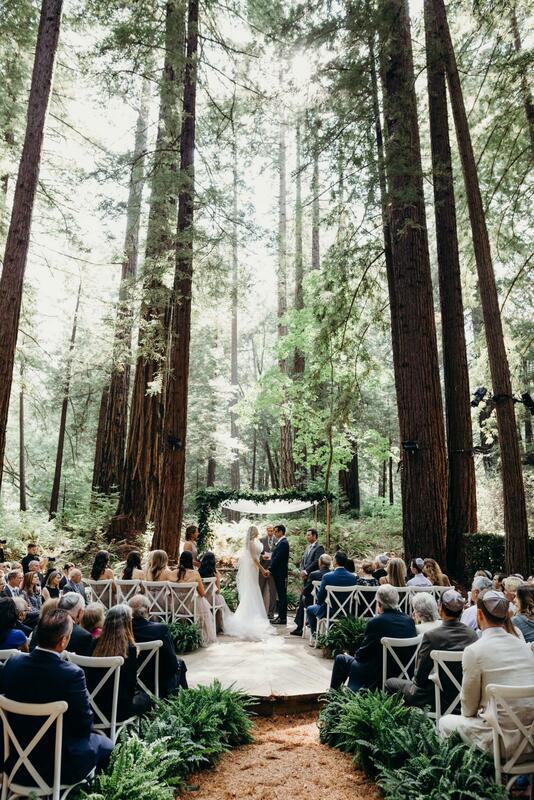 The incredibly talented team behind Paula Le Duc Fine Catering & Events hosts weddings and events at this oasis of towering redwood groves in San Gregorio. The private property is home to a century-old log cabin, a Bavarian-style barn, a large pond, 80 acres of redwood forest and plenty of cattle too. Lest we forget to mention, Corte Madera Creek also runs through the property, adding even more of a storybook feel to this already dream-like place. 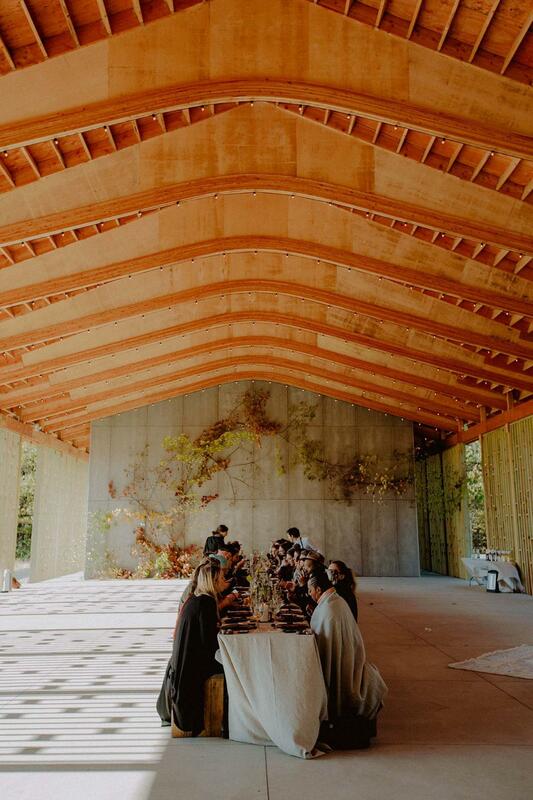 Good for: weddings surrounded by forestry. 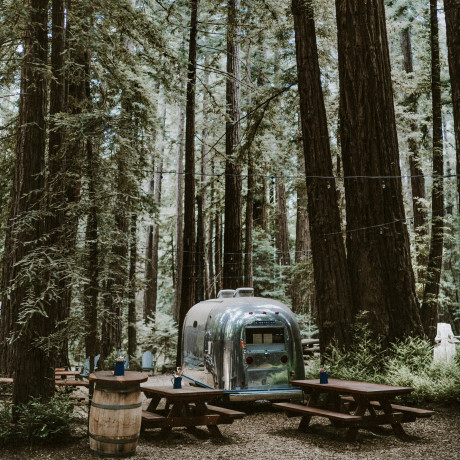 This Anderson Valley private estate can accommodate up to 39 overnight guests and host events of up to 200 in a camp-style event space. 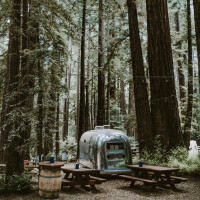 To that effect, one could easily add some glamping tents to the mix to host additional overnight guests. Good for: weddings, social events, retreats, family gatherings. 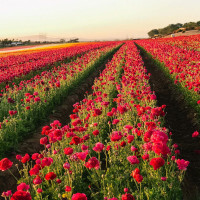 Stunning landscapes and a plethora of winery options make McMinnville feel something like paradise for anyone who craves that nature-meets-good-life combo. 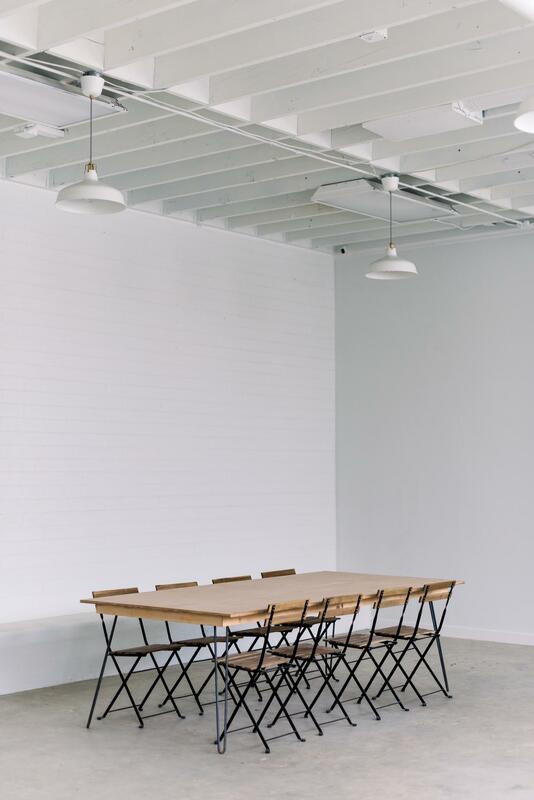 Head out to The Bindery if you’re planning an event in the area, and you’ll find a cozy industrial space that feels rooted and ageless yet appropriately modern. 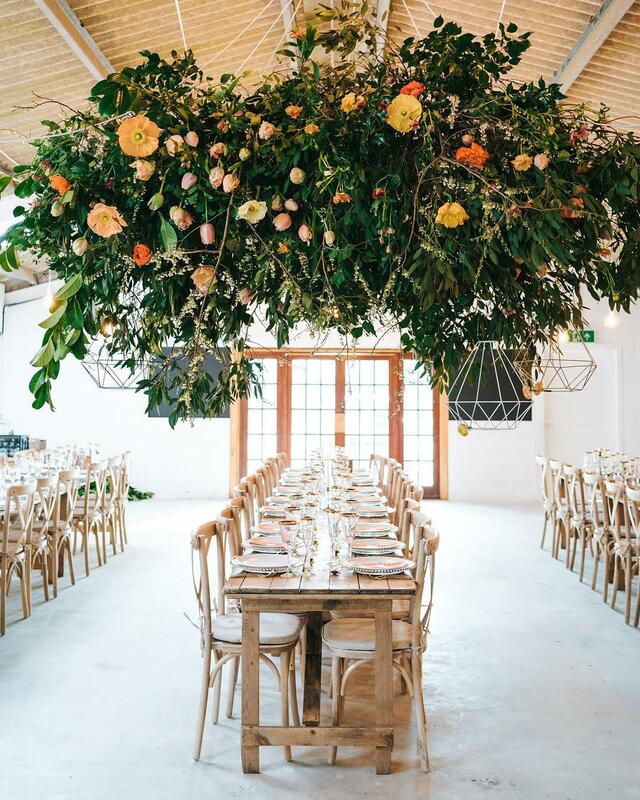 Good for: modern weddings with tables and chairs for up to 150 guests, photo shoots that require an hourly rental, corporate and private parties for 4 or 10-hour bookings. 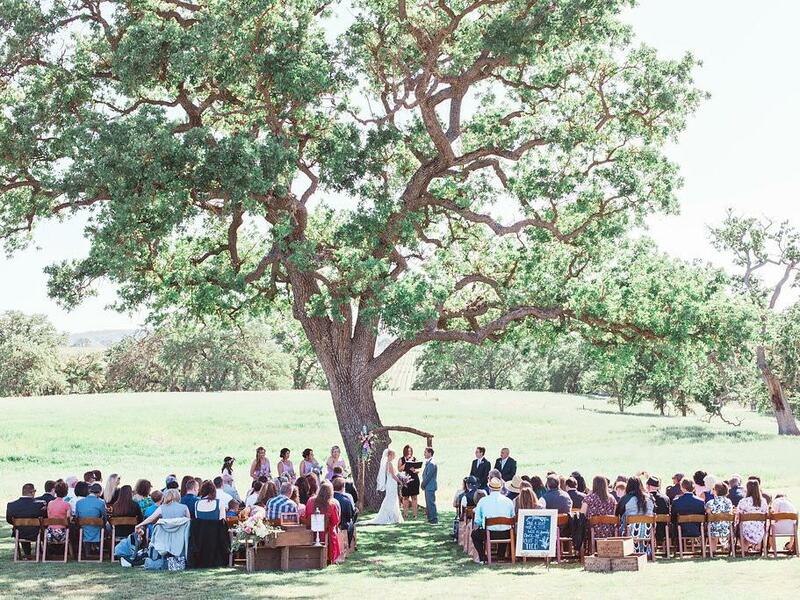 Spain Ranch isn’t your typical Oklahoma farm venue. 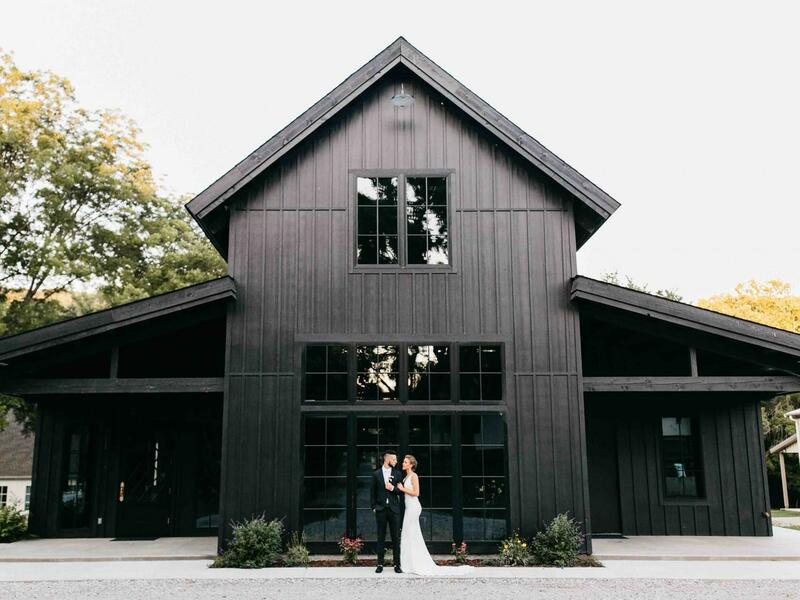 Instead of a rustic or shabby chic style, the Black Barn here delivers a hyper-modern aesthetic any minimalist (or maximalist) can get behind. The walls are black inside and out, and there’s a ton of natural light and beautiful natural wood floorboards throughout. Good for: weddings of up to 90 guests, ceremonies indoors with tons of sunlight, long weekend reunions, rehearsal dinners, welcome parties, corporate off-sites, dinner parties, dance parties, workshops. A working farm, complete with beautiful horses, sets the scene for this Hampshire wedding venue. 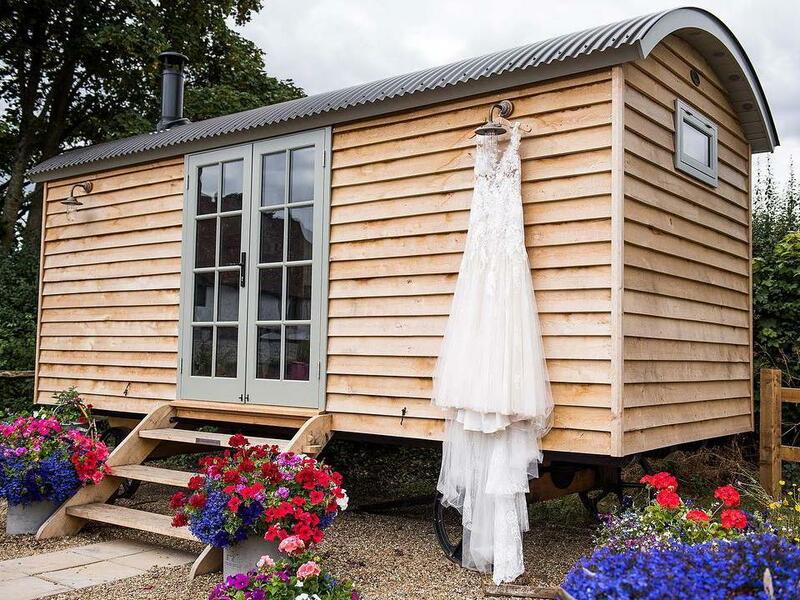 The barn itself has a polished, modern feel and the property lends well to outdoor ceremonies and glamping right on-site. Good for: weekend-long weddings and events. 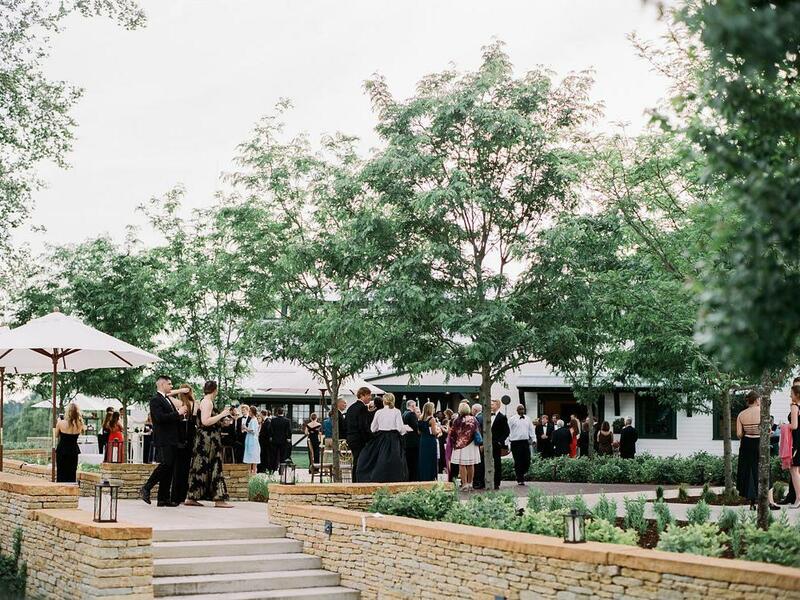 We didn't know we needed a new all-white venue to obsess over until we saw The Emerson, just outside of Dallas-Fort Worth on 10 acres of land. 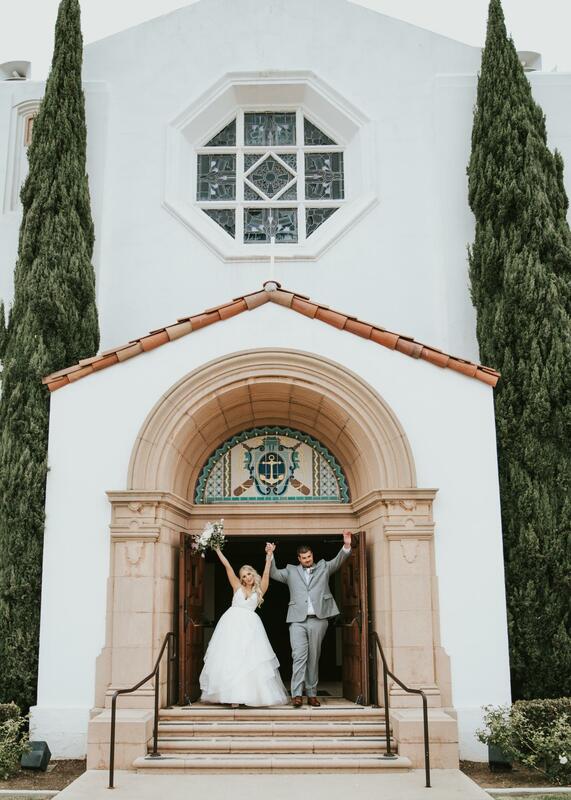 Home to a modern-meets-Victorian event space, restored all-white chapel designed by HGTV's Leanne Ford, and separate bride and groom quarters, The Emerson is truly a one-stop-shop (read more about their rental offerings here). Good for: weddings, corporate and special events up to 200 people that steer away from traditional and embrace classic style with bold design. 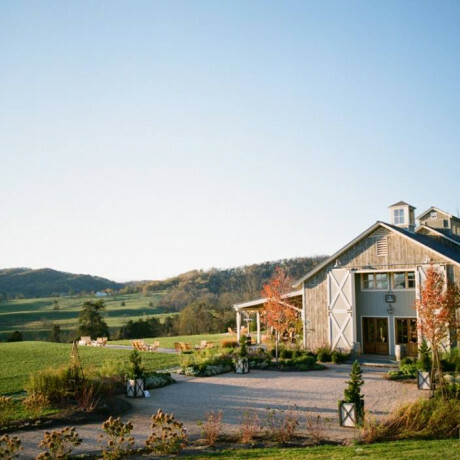 The Barn at Autumn Lane just opened this past fall and is already cranking out weddings and events like crazy. The newly constructed space features an open floor plan, high ceilings and big barn doors that open right up to let natural light flood in. 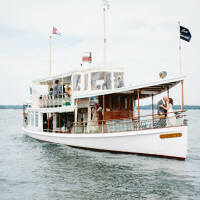 Good for: weddings with views of Sebago Lake and the surrounding forests. This shiny new black clad barn sits on rolling acres of organic farmland. 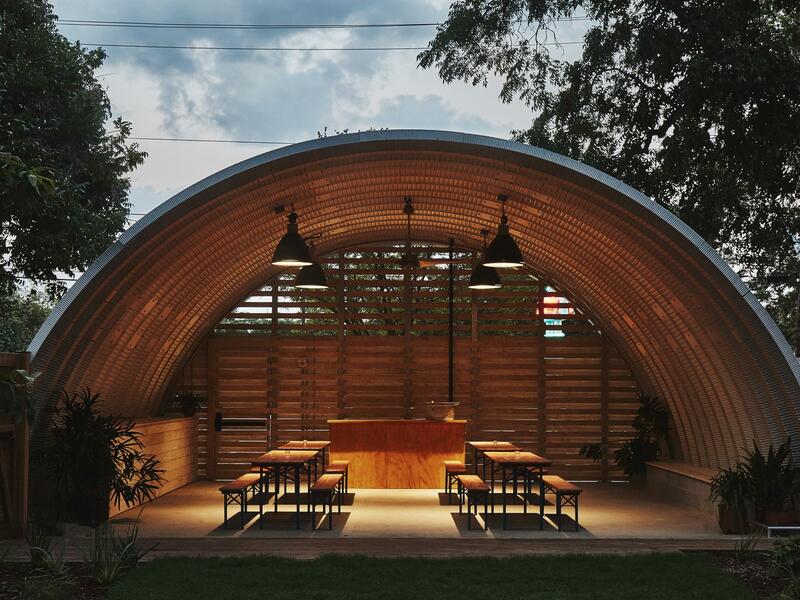 The farm isn’t new, but the greenhouse venue known as Oak Grove sure is. Good for: weddings with everything you need for up to 250 guests, including coordination and furniture. There’s even a grove of oak trees surrounding a patio and courtyard. 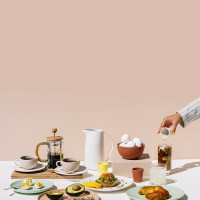 The first Hoxton on American soil, this Williamsburg hotspot opened in fall 2018 with 175 guest rooms, multiple restaurants and plenty of outdoor space including a terrace, courtyard and rooftop bar. For events, check out Upstairs at Klein’s, a private space with a full bar and warm, lively atmosphere. Good for: post-wedding brunch, cocktail parties, birthday gatherings. Manicured gardens, a greenhouse, a party barn, five homes, and a manor house dot the rolling hills and vineyards of Virginia’s Catesby Farm Estate. Here, you can host a weekend of events and yet never spend a full day in one spot. Good for: weddings of up to 200 guests, fundraisers, corporate retreats and off-sites, dinner parties, garden parties, culinary events, cocktail parties. It’s all about the options at this Catalonia Hills manse. 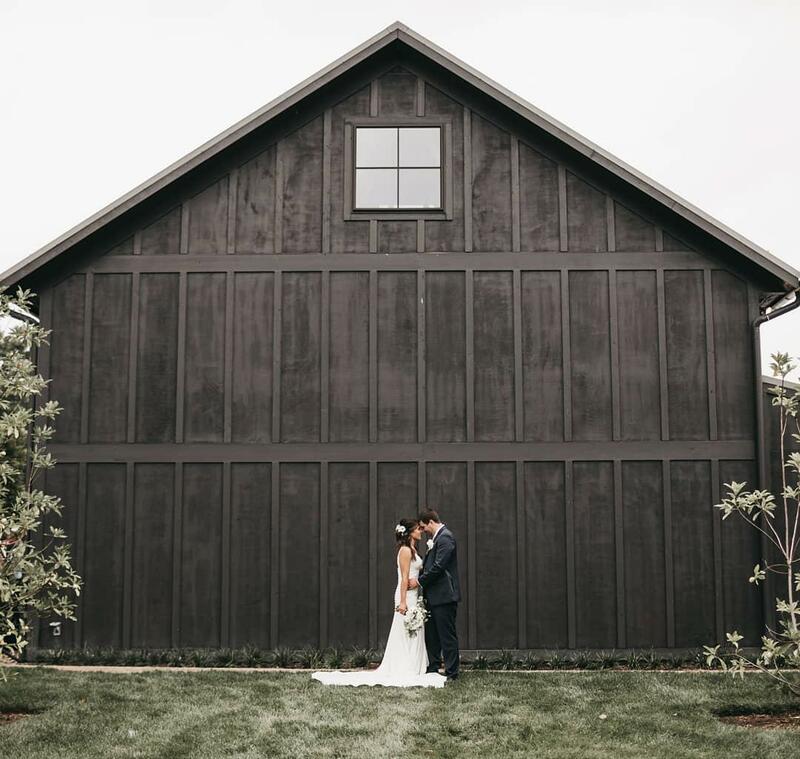 Here, you can celebrate your wedding in a pair of beautifully restored stone barns, throw a dance party in an enclosed courtyard, exchange love notes on a flower-draped balcony, gaze at the Pyrenees while noshing on hand-tossed pizzas and more. Good for: showing your friends and family Spain’s glamorous side while feeling tucked away in the hills. 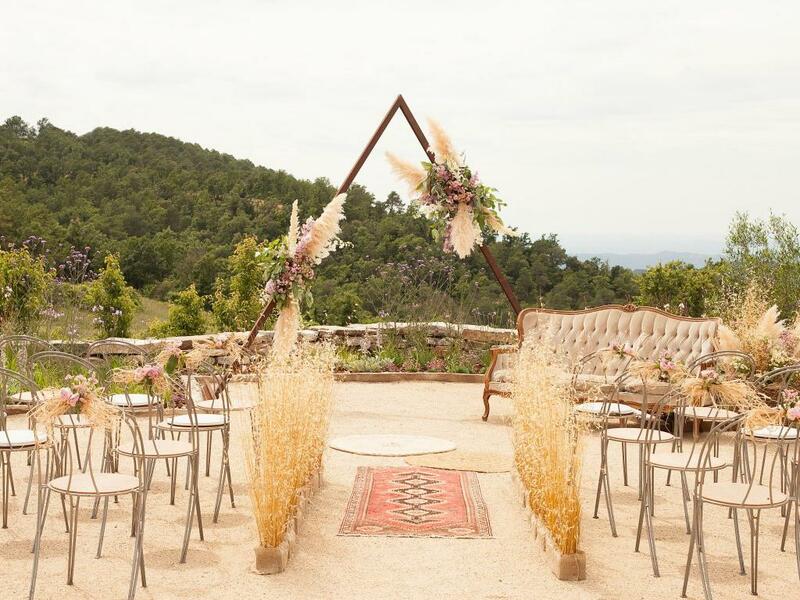 This Must Be The Place is located just outside Barcelona, sleeps up to 15 guests and can host a wedding, event or celebration with up to 150 guests. 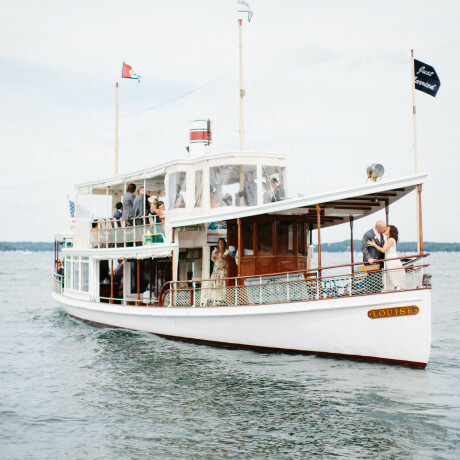 Get married in the secret garden, throw a surprise birthday bash in the orchards or celebrate a long bachelorette party weekend with a private chef on board. 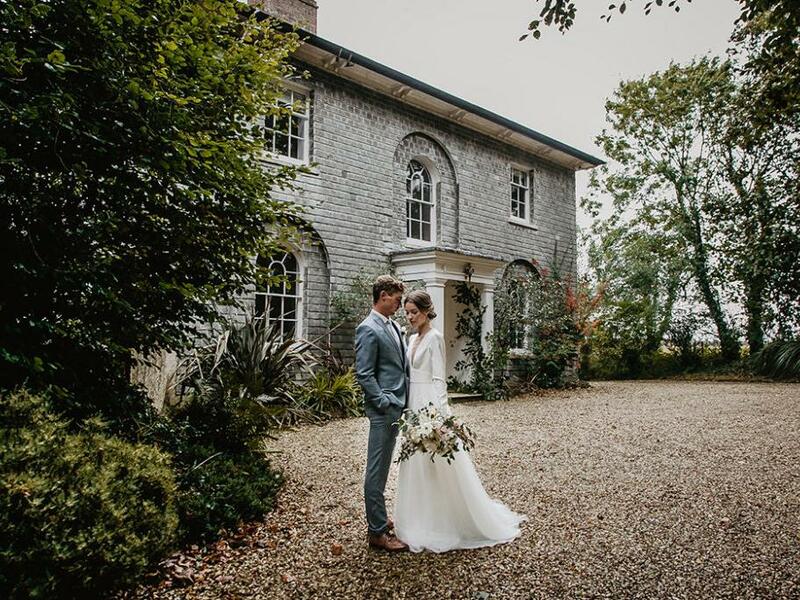 Cornwall’s Treseren is a private boutique country house where you can host up to twenty guests for whatever it is you’re celebrating. 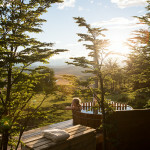 Good for: intimate weddings, photo shoot and film location, weekend retreats, small group getaways. 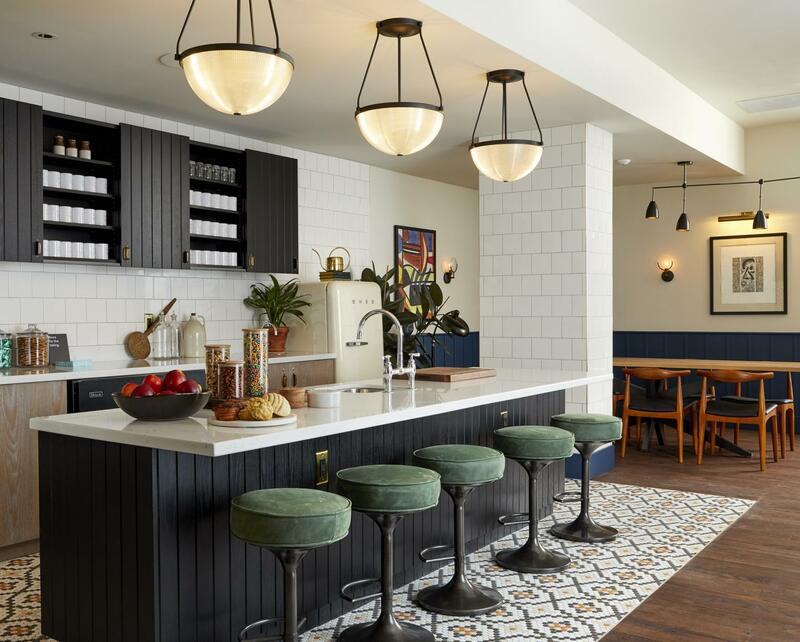 An industrial space with gorgeous red brick walls, The Penny has an open layout and opens onto a courtyard that makes it feel bright and airy. 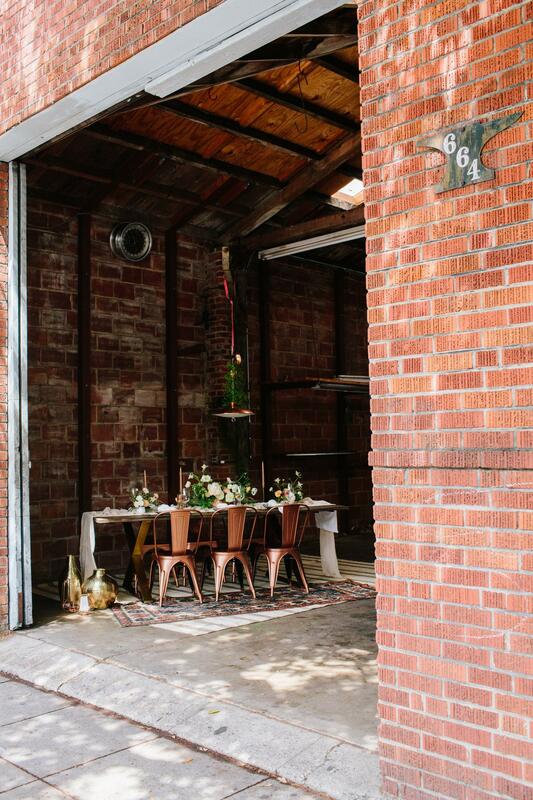 Good for: workshops, rehearsal dinners, photo shoots, parties, reunions, basically any kind of celebration where a mix of indoor and outdoor space is a bonus. 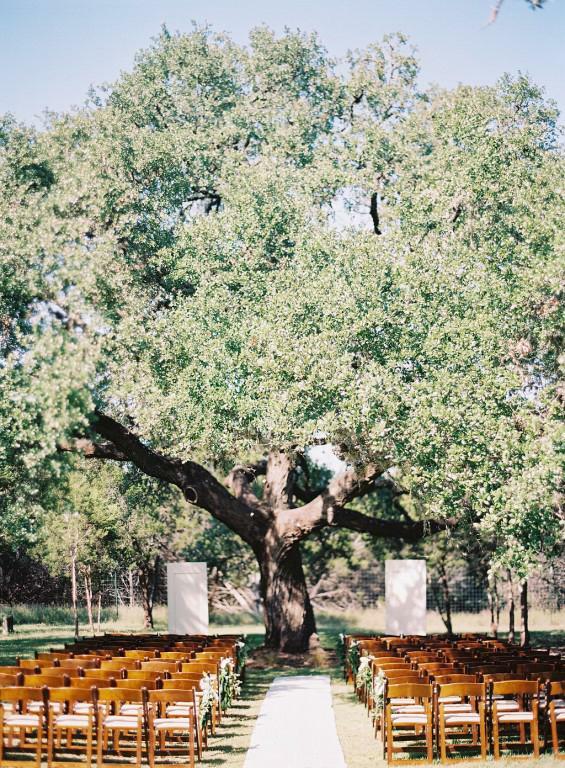 Big, old oak trees and the rambling landscapes of Texas Hill country set the backdrop for this party spot. The Ivory Oak features a gorgeous new barn space that’s got high vaulted ceilings and lots of windows that open right out to a courtyard and patio area. Good for: weddings and corporate or private events of up to 250 guests with all the furnishings you need to pull off a major bash. Plus, there’s a built-in rain plan. 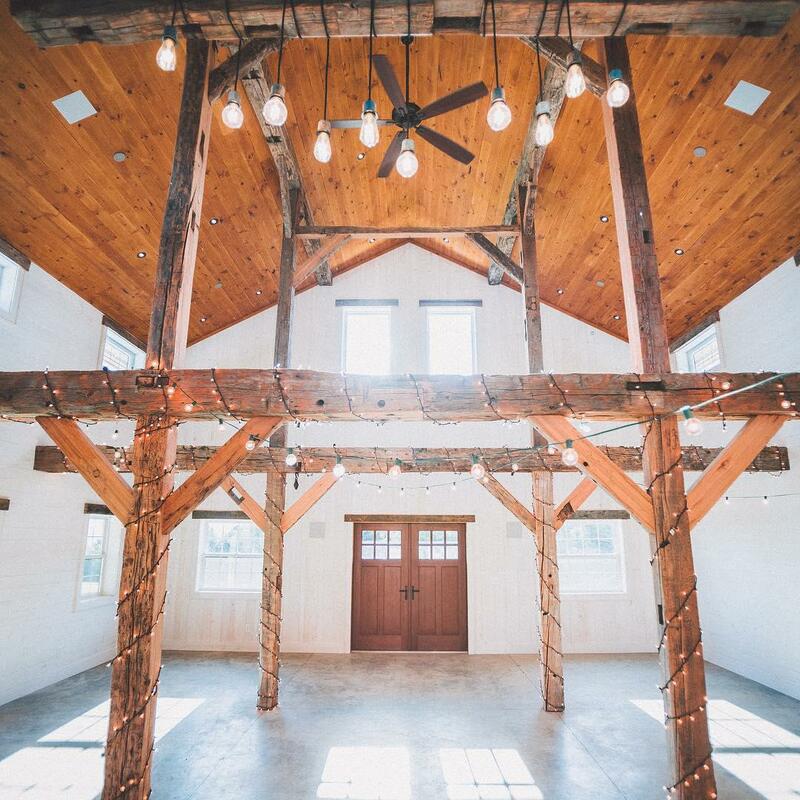 Nestled in the Catskills mountain region of New York, The Sablewood is a barn venue that’s just the right blend of rustic and modern. 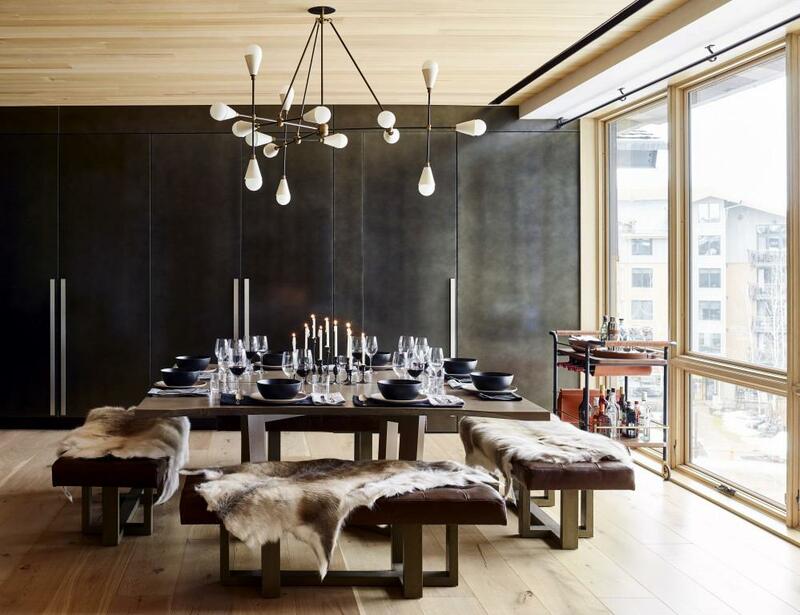 Pale wood wraps the space while tall ceilings and ample windows keep the space feeling light. 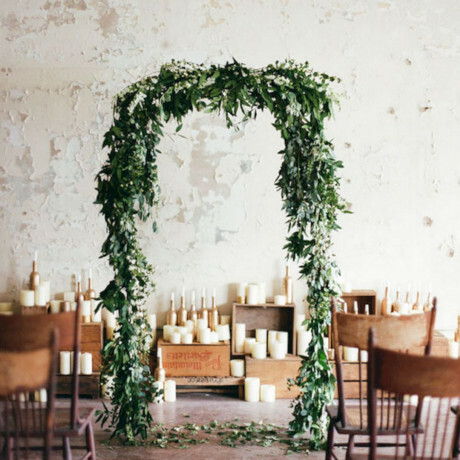 Good for: weddings with an oh-we-just-stumbled-upon-this-countryside-barn feel. For the best backdrop of the Manhattan skyline, head to this LIC rooftop and penthouse party spot. The Bordone offers two levels of penthouse, rooftop and outdoor terrace that are fully set up for events of up to 500 guests. Good for: weddings and events where you can bring in your favorite catering team, event design team and more. Photo shoots, corporate events, product launches, seminars, holiday parties, cocktails parties, birthday bashes also welcome. You’d never guess that this lofty, industrial space used to be a bus depot! 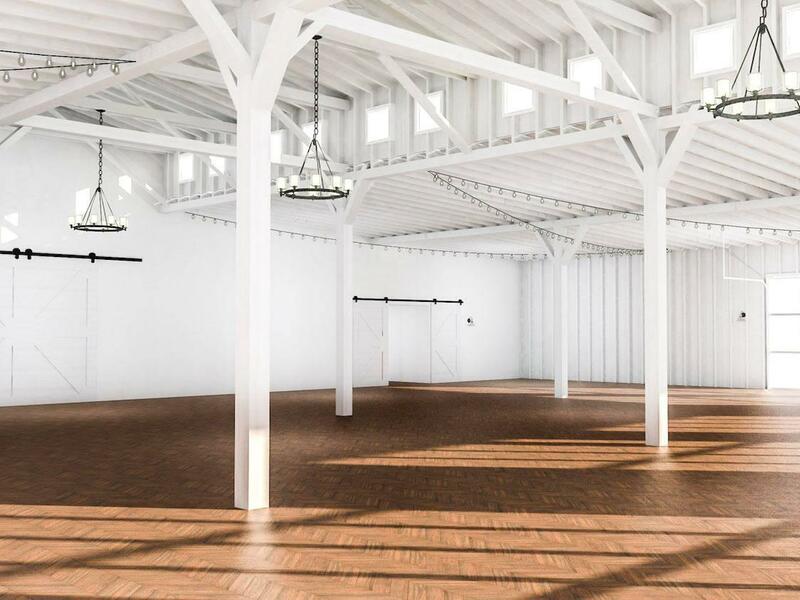 Clerestory is set to open in fall 2019 and promises a whopping 9,000 square feet of wide-open event space with concrete floors, exposed brick walls and more windows than we can count. 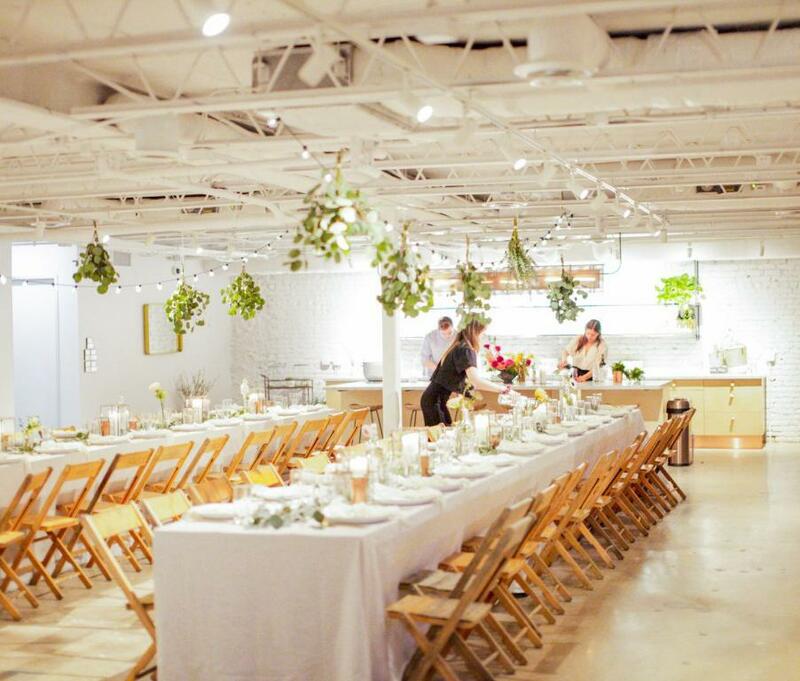 Good for: weddings, rehearsal dinners, parties of up to 400 guests, workshops, holiday bashes. 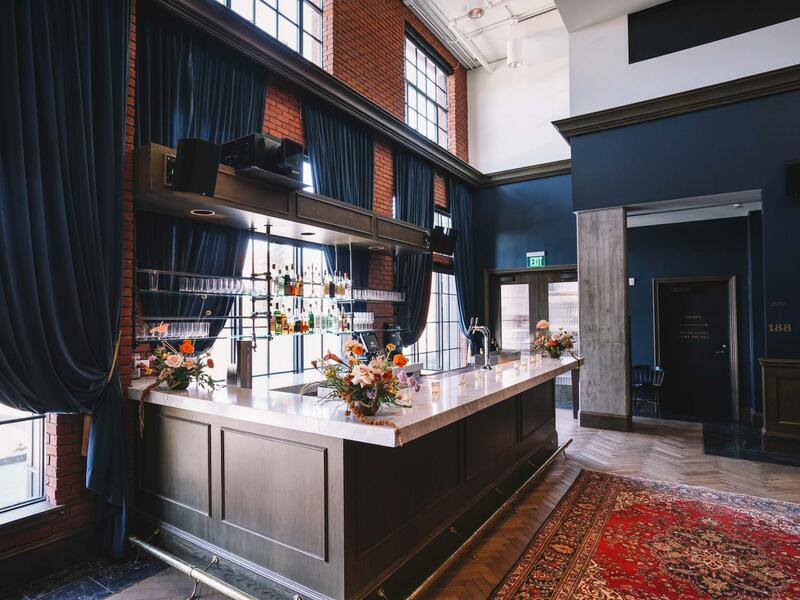 This three-story venue in the heart of downtown Charleston includes a wine cellar, a ballroom and what feels like a loft space on the top floor. While the property is historic and has beautiful old features, its large-pane windows and bright lighting make it feel new. Good for: wedding ceremonies and receptions, bridal showers, wine tastings, cocktail receptions, awards shows, holiday parties, corporate off-sites. 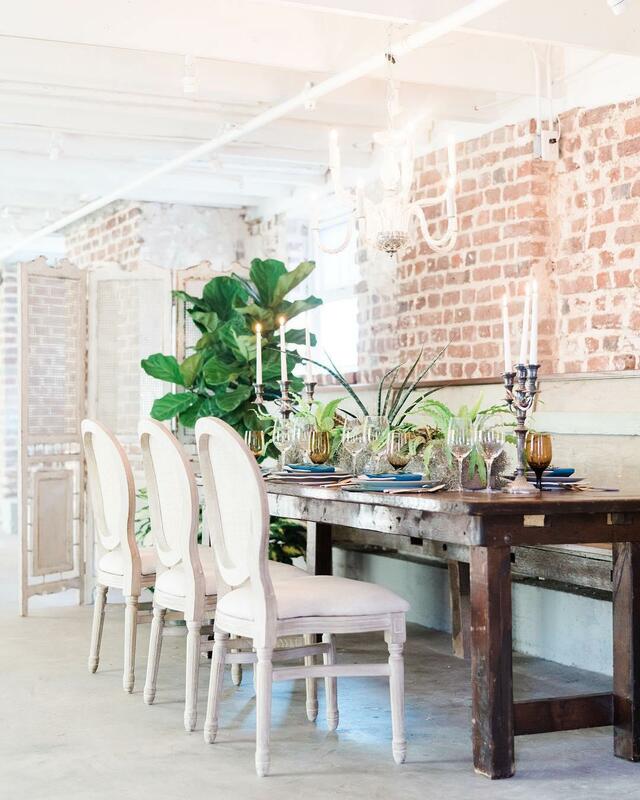 Owned by the ladies behind 100 Layer Cake and designed by Sarah Sherman Samuel, this LA studio and venue is ideal for photo shoots, workshops, cocktail parties of up to 70 guests, or sit-down dinner parties with as many as 40 guests. 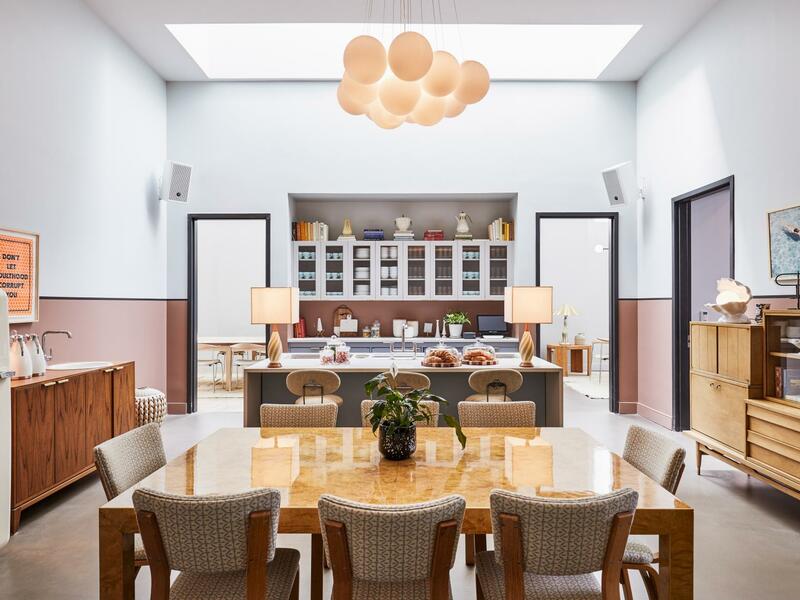 A rental of the space includes gorgeous blush and plush design details, use of the kitchen, a couple of big tables and 20 chairs for your guests. Also good for: cooking classes, bridal showers or baby showers, surprise parties, birthdays. This stunning luxury hotel and alpine club in Teton Village is ski-in, ski-out and perfectly accessible to the charming shops and restaurants of Jackson Hole as well as Teton National Park and Yellowstone. For summer events, the third floors members’ lounge can be taken over with groups of 50 seated or 80 standing guests. There’s a wood-burning fireplace, full bar and outdoor patio, or you can take over the main restaurant known as Old Yellowstone Garage. 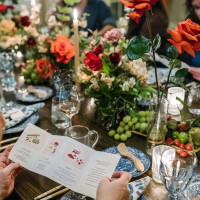 Good for: intimate weddings, engagement parties, bridal or baby showers, rehearsal dinners, girls getaways, corporate events and retreats, wedding brunches or luncheons, dinner parties. 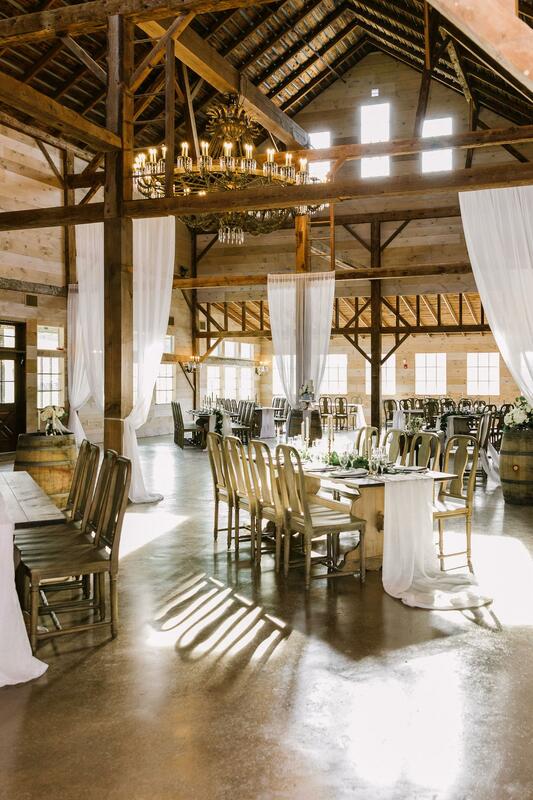 Located just outside Louisville, this country Kentucky venue celebrates its bluegrass roots. 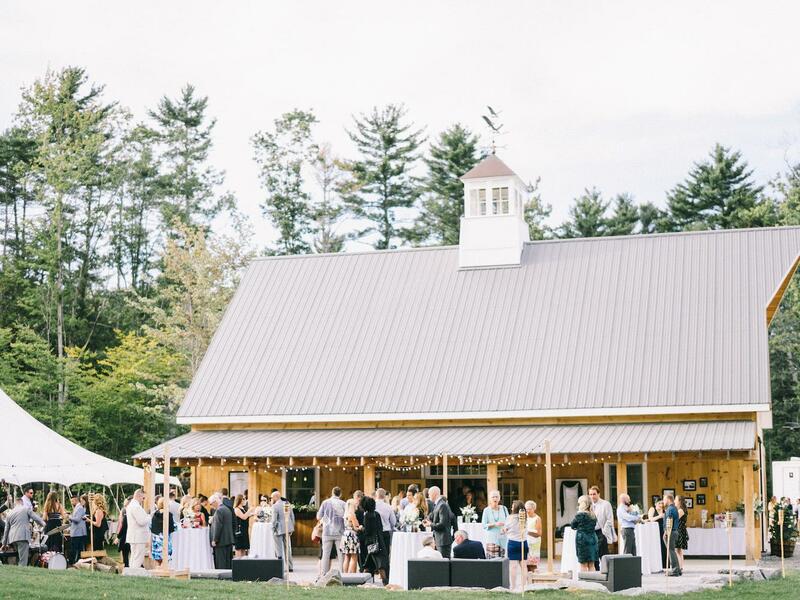 At the top of a hill overlooking the valley is a show barn that seats up to 275 guests along with a lawn that lends well to wedding ceremonies or outdoor cocktail receptions. Good for: weddings, garden parties, social events, dinner parties, retreats, reunions. Be sure to ask about what’ll be growing in the garden during your event, as you may be able to snag some fresh mint for mojitos or baby lettuces for salads. 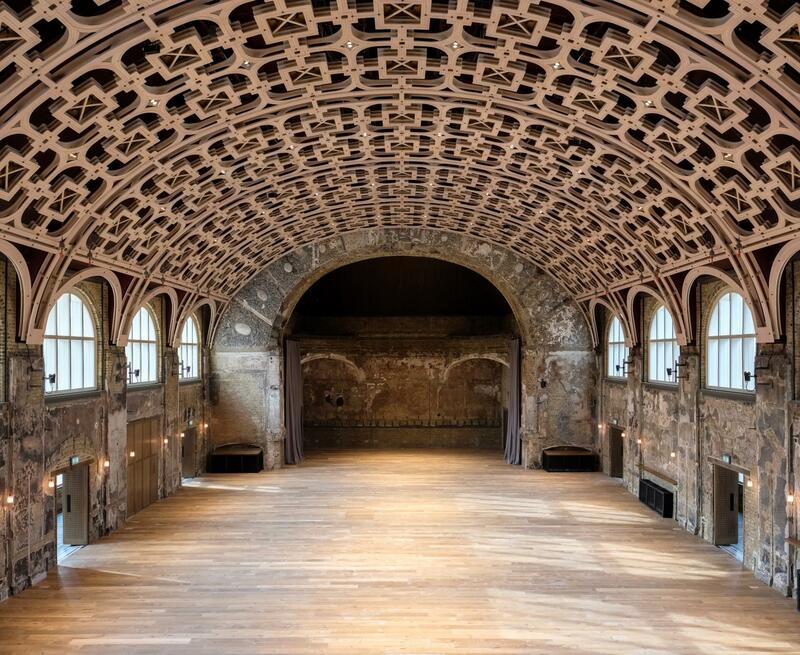 Recently restored following a fire in 2015, The Grand Hall at Battersea Arts Centre reopens its stately doors this year. 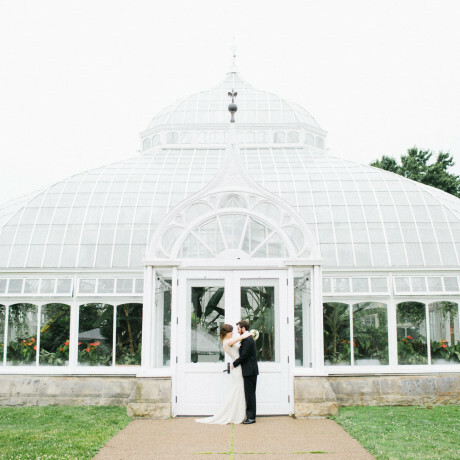 Guests of the space enter through an octagonal hall with mosaic floors and an exquisite stained glass domed ceiling before heading into the Grand Hall’s towering space with a lattice ceiling and huge arched windows. Good for: cocktail parties and standing events of up to 800 guests, weddings and seated dinners of up to 300 guests, award ceremonies and presentations of up to 640 guests. New to Chinatown in PDX, The Hoxton has 119 warm and cozy guest rooms, an open lobby for coffee and cocktails, an all-day rooftop restaurant, a late-night basement bar, and a spot called The Apartment. The Apartment is basically a mix of small and large spaces that can be used for events of varying sizes. 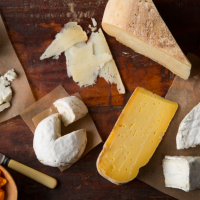 Good for: meetings, corporate events, private dinner parties, cocktail parties, private wine tastings, breakfast or brunch events. 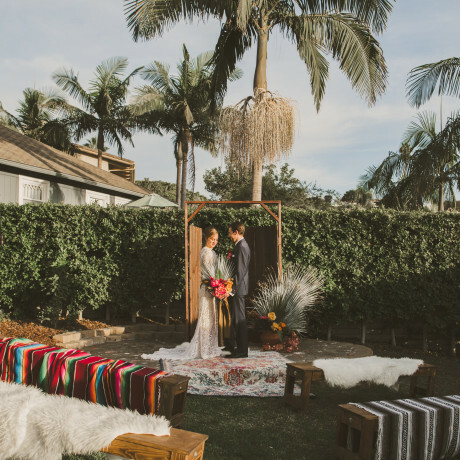 With its classic Spanish revival style, neat courtyard and bright, light-filled interiors, Ebell of Santa Ana is a welcome addition to the list of Orange County event options. Good for: weddings with indoor and outdoor flow, formal dinner parties, holiday events, lectures, performances, board meetings, networking events, workshops, pop-up events. 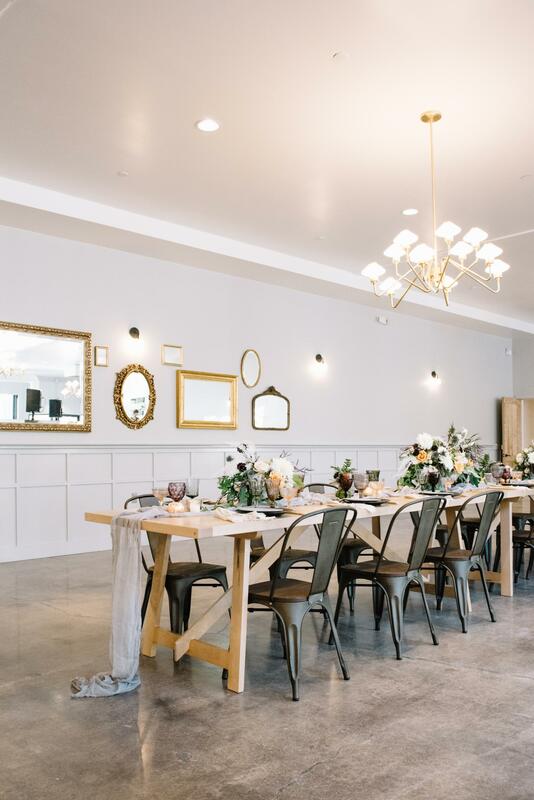 If your wedding or event inspiration board features minimalist looks, you need to know about Roseville’s new BLOC venue. 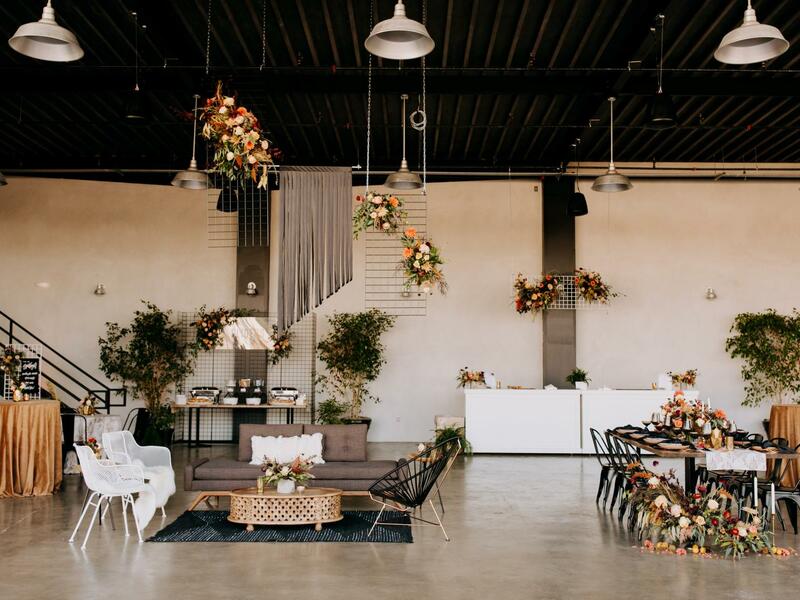 With white brick walls, matte concrete floors, modern circular chandeliers, and black-framed windows and doors, it’s easy to embrace the minimalist style and plan an event here that stuns. Good for: weddings, rehearsal dinners, cocktail parties, corporate events or award shows, holiday parties, or any other type of gathering for up to 300 guests. Best of all, there are no noise restrictions, so you can bring along a whole band for the gig. 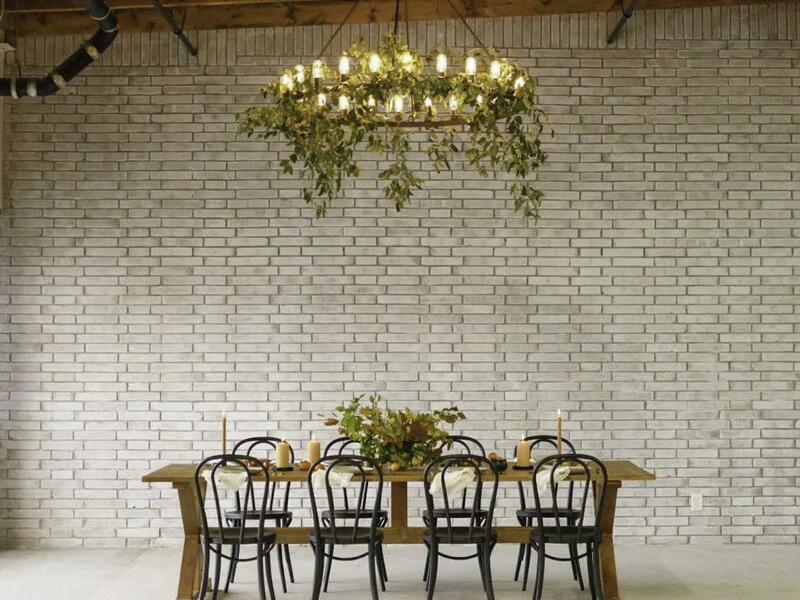 Looking for a place to host an intimate gathering that feels more Parisian than Chicagoan? Check out this hidden loft in the heart of Lincoln Park. 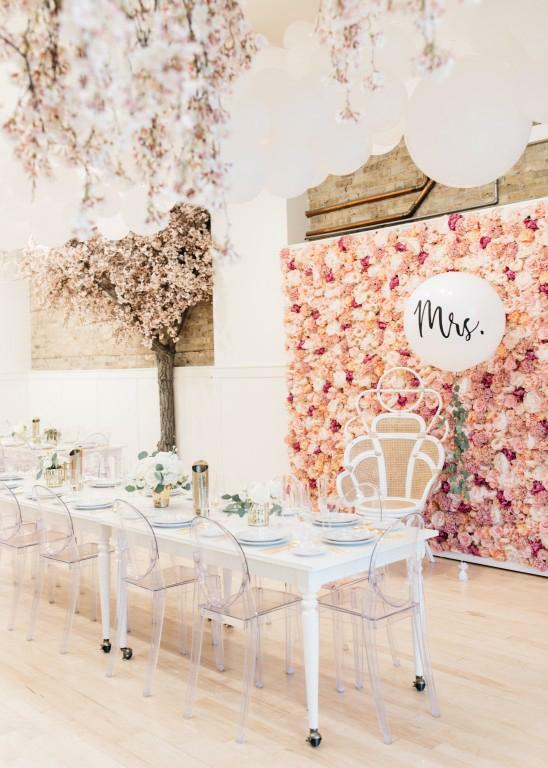 Good for: small weddings or events with 50 guests or less, a photo shoot with a whitewashed brick wall backdrop, a workshop or community class, baby or bridal shower in a surprise location. 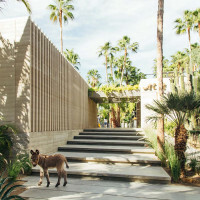 Solaz in Baja California Sur blends show stopping architecture with incredible coastal views. 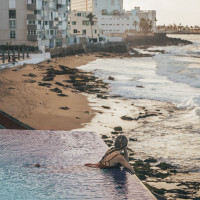 For events, there are three different terrace spaces to choose from as well as a beachfront garden, a conference center and a private restaurant space. 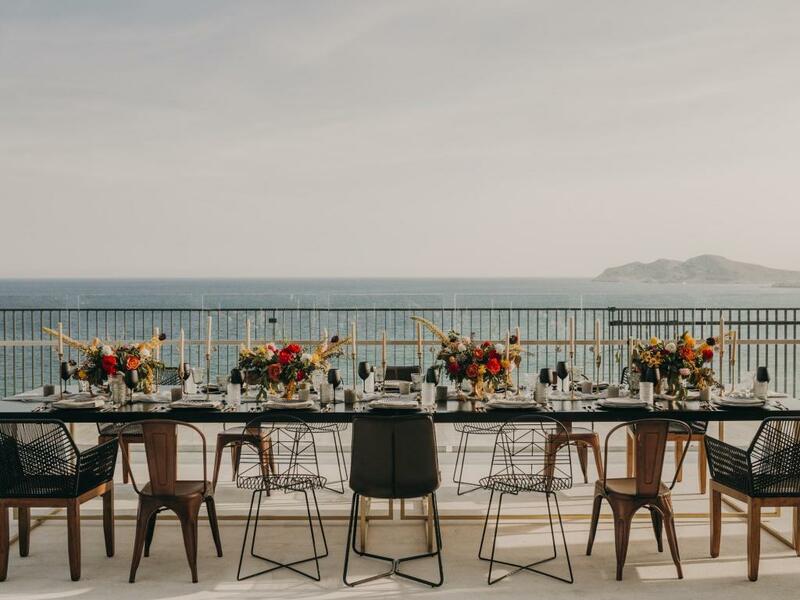 Good for: weddings overlooking the Sea of Cortez, conferences or corporate retreats to reward employees for their hard work, bachelor/ette parties, anniversary get togethers, reunions, fitness retreats, workshops, garden parties, beachfront parties. 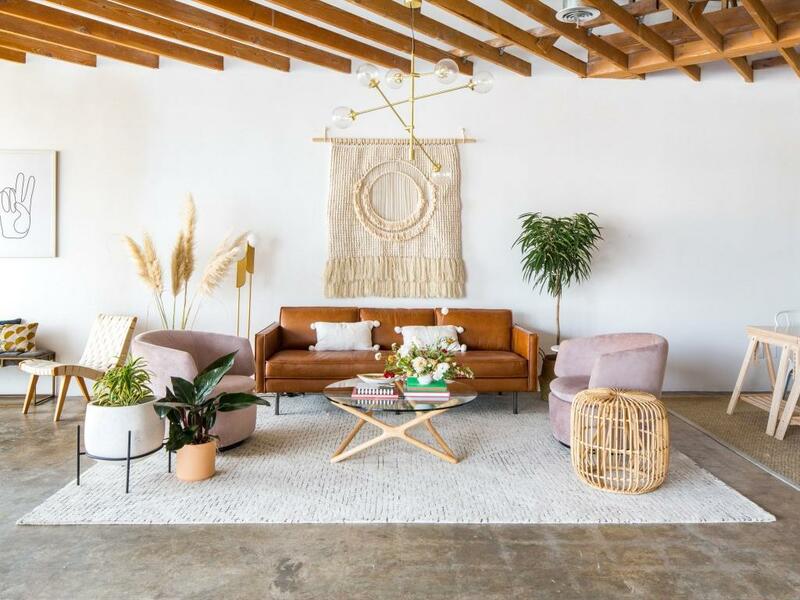 A floral studio for Plenty of Petals by day and a party spot by night, POP Studio in San Diego offers a bright, clean and minimalist space for a small gathering or perfectly naturally-lit photo shoot. 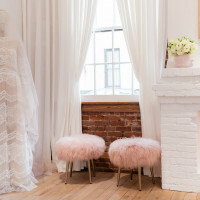 Good for: workshops and photo shoots are primo in this darling space, and intimate occasions like bridal showers or dinner parties work well too. If you’re a traveling florist looking for a space to work out of, this spot is ground-level and comes with a walk-in cooler so you can rent it out for all your assembly needs. Detroit’s new Shinola Hotel offers a bright conservatory space with glass-vaulted ceilings, a spacious events hall with dramatic architectural details and modern brass chandeliers, a small foundry room that’s great for meetings, an evening bar, a private Italian dining room, an American beer hall, and a fried chicken spot. Lest we forget to mention all these spaces are exquisitely designed in a classic Americana style. 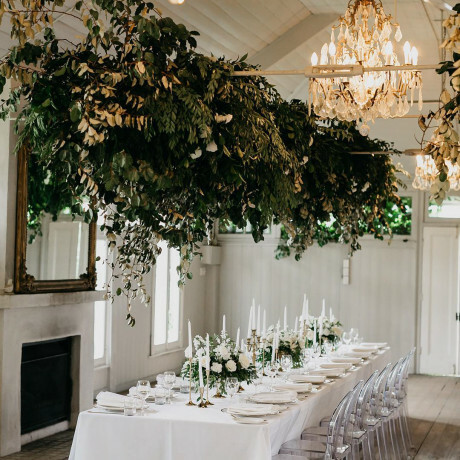 Good for: wedding ceremonies in what feels like a greenhouse, receptions in a stunner of a ballroom space, meetings and corporate events, private dinner parties, anniversary celebrations, parties of all styles and sizes. Arched windows line the interior of this spacious, high-ceilinged chapel. The non-denominational space is classic SoCal style both inside and out. Good for: wedding ceremonies of up to 300 guests. Awesome location with ample parking and convenient for guests staying in downtown SD. Pool party, anyone? 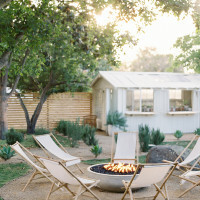 This Austin hotel boasts a fabulous courtyard with a pool and a poolside venue with a small grassy lawn and covered dome with dappled light shining through. Good for: outdoor brunch, bridal or baby showers, birthday gatherings, cocktail parties in the sunshine. 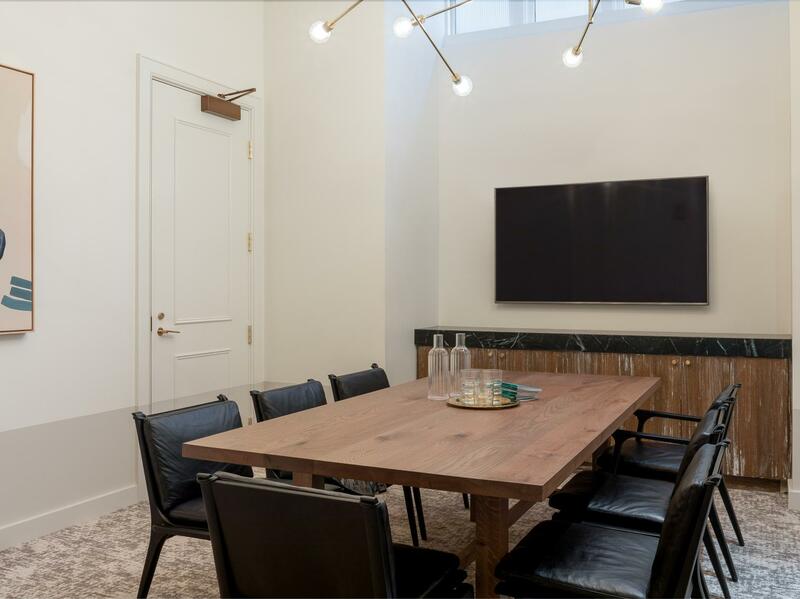 This gorgeous brick-walled and big-windowed space sits on the fifth floor of the newly renovated historic Kiesel building in Ogden, Utah. The space is super flexible, with options to rent for just 3-4 hours for smaller events. Good for: weddings of up to 340 guests, corporate events and workshops, private parties, photo shoots. 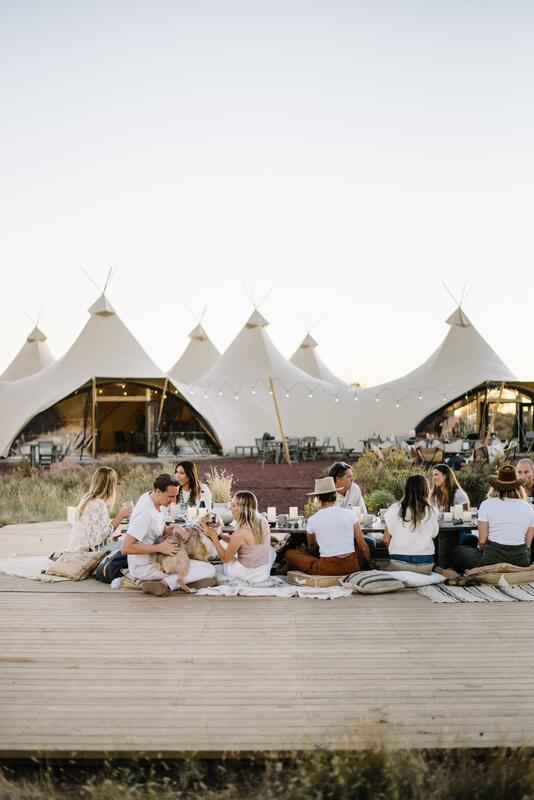 Located just 30 minutes from Byron Bay on the Northeast coast of New South Wales, this secluded environmentally conscious venue provides private lodging, beachfront event options and a cool beach barn. 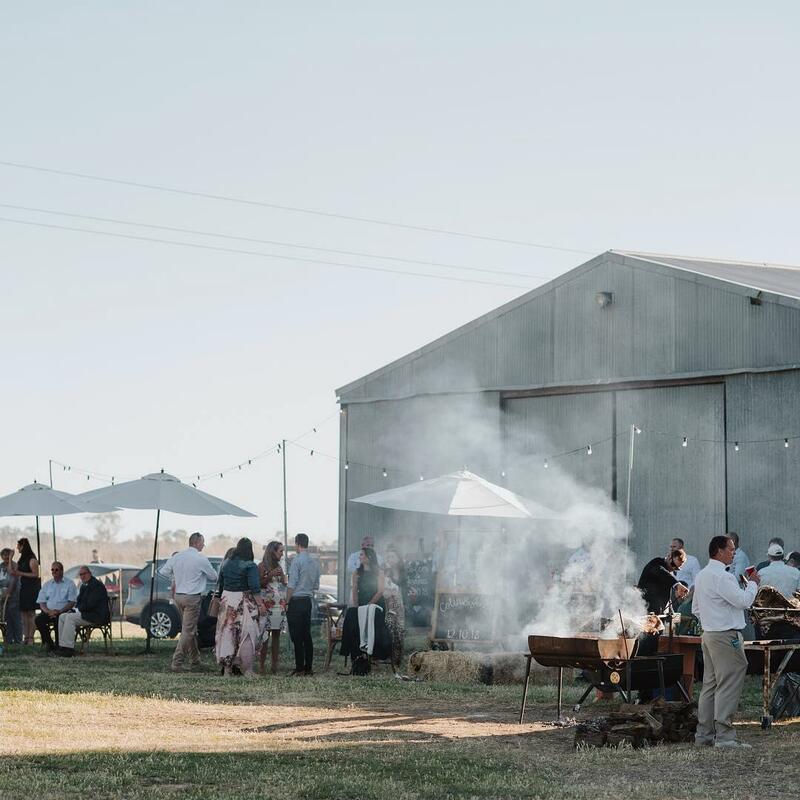 Run by the folks behind the Farm at Byron Bay, the vendors you’ll choose to work with here are locally known and adored for their incredible event productions. 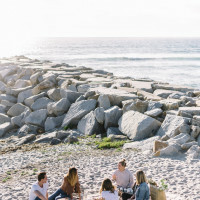 Good for: weddings of up to 250 guests, events that celebrate local culture, beach getaways, retreats and workshops, slowing down with the people you love. Roll-up glass garage doors, whitewashed walls and ceilings, dark wood floors -- what’s not to love about the interior of this Indiana spot! A rental of BASH means you’ll have the space for up to 24 hours and can bring along 200 of your nearest and dearest. 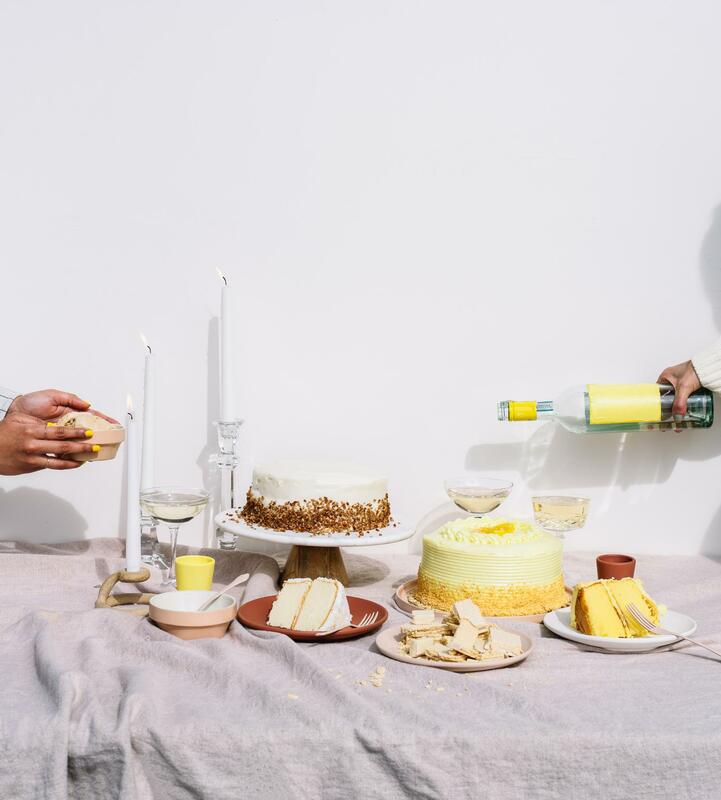 Good for: weddings with an industrial-chill vibe, product launches, workshops, classes, industry events, corporate off-sites, fundraisers, and pretty much any other type of party you can think of. Event coordination, beverage service and photo booth rentals are also available directly through the venue. 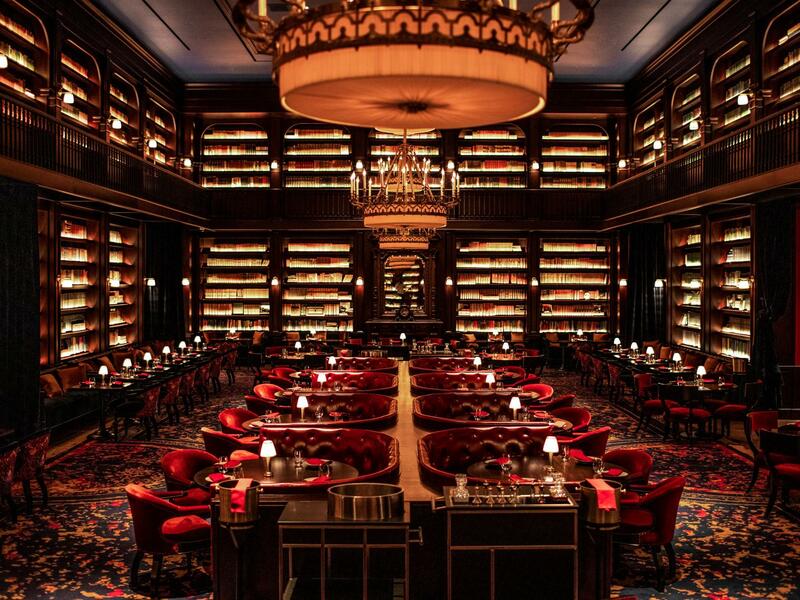 A brand that’s synonymous with gorgeous gathering spaces, Soho House has done it again, this time in Amsterdam. 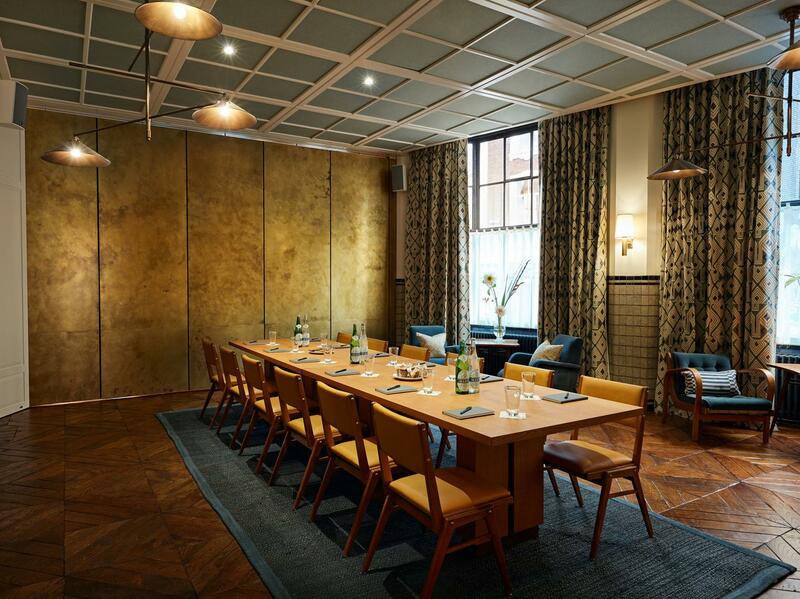 The three Bunge Rooms at this location can be used separately or together for an event of up to 80 seated guests or 200 for a cocktail event. Good for: stylish dinner parties, high-end weddings, cocktail parties with panache. You can arrive at this California venue via helicopter and walk straight into your party. Hangar 21 South is located on a runway in Fullerton and has that open, airy feel of a space that’s actually a hangar. Good for: weddings with a very grand entrance, dinner parties with Jay’s Catering doing all the hard work, corporate off-sites, holiday parties. 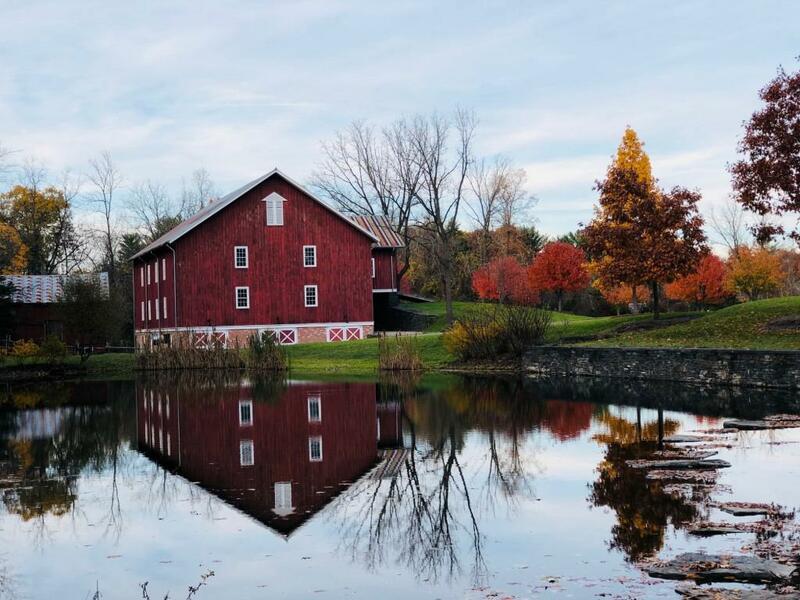 Set in a big, open grassy field beside a pond in the Finger Lakes region, Wrens Roost Barn is the kind of classic barn venue you’ll love if you’ve been conjuring up thoughts of a rustic wedding with modern finishings. 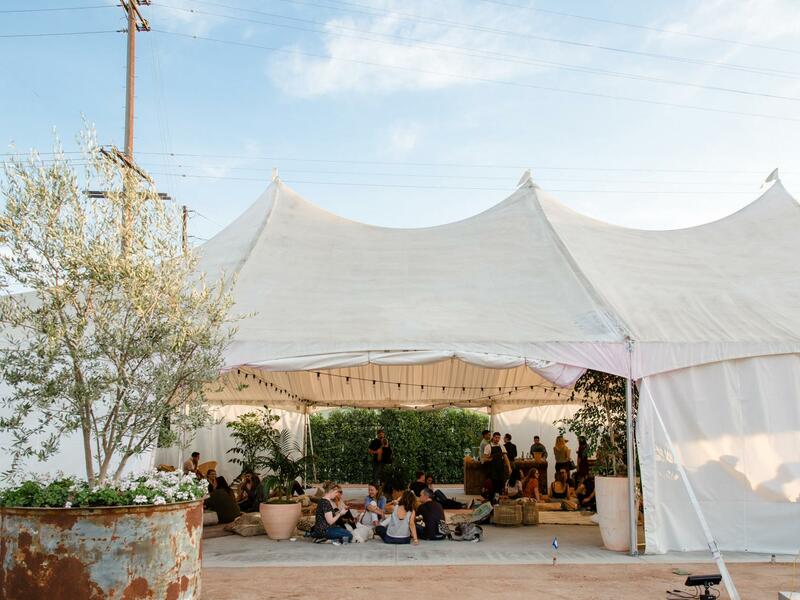 Exposed wood beams, concrete floors and whitewashed walls complete the space and you can easily pop a tent up on the lawns if you want to break up the party into a few different spaces. Good for: weddings with lawn games, gorgeous views and dancing under the stars. 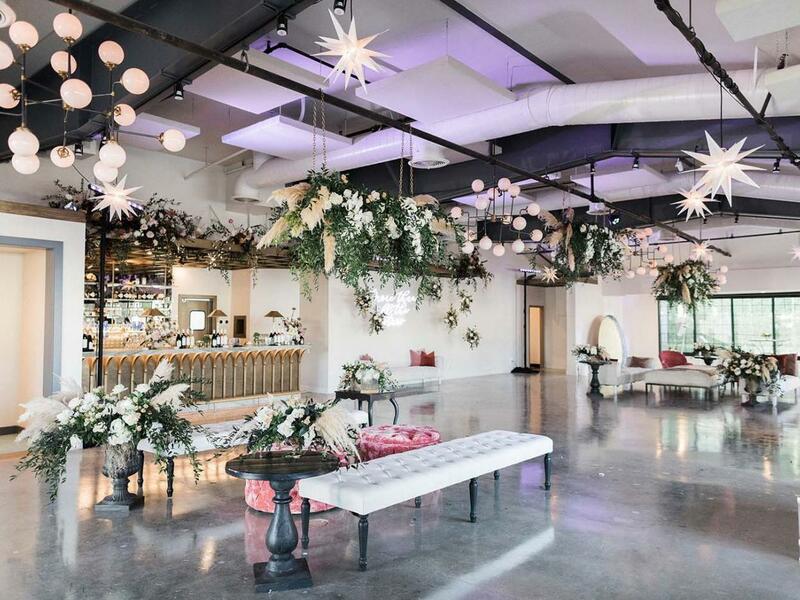 Located right in the heart of downtown ATX, Canvas at The Refinery offers a bright, modern space for up to 250 guests to gather, get acquainted and maybe learn something new in the process. The space is great for workshops and seminars, but can also be used for private events, parties and weddings. Good for: people who don’t want to be bogged down with managing all the moving parts of a successful event and are happy to lean on the pros instead. 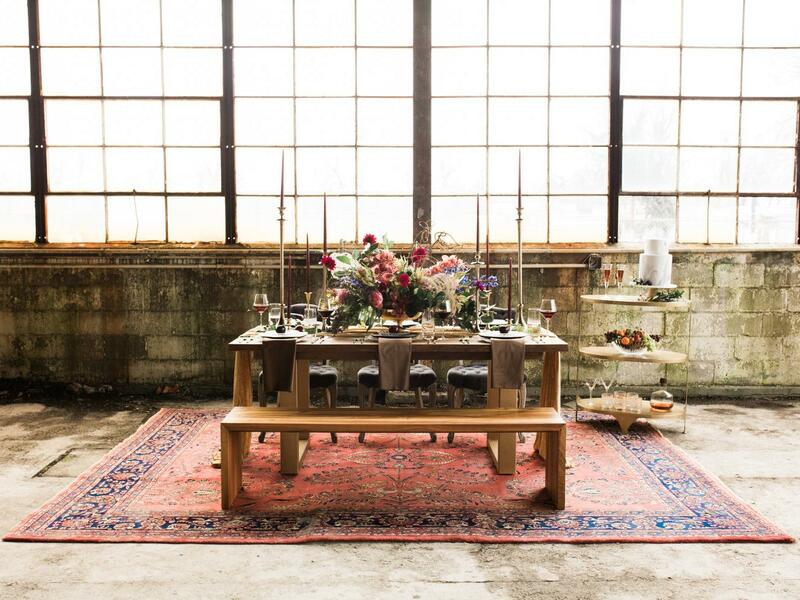 This rental can include everything from tabletop wares and furniture to photo shoot equipment, event coordination and floral design. Looking for a late-night Hollywood party spot and don’t want to change venues in the middle of your wedding reception? Check out Casita, where you can party as late as 2am on the weekends. What’s more, the space has both indoor and outdoor access with a bright, modern interior and a patio, garden courtyard and fountain outside. 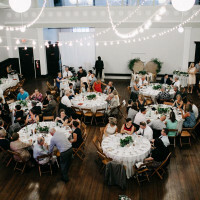 Good for: wedding ceremonies that seat up to 250 guests (or 350 if you scrap the dancefloor), cocktail parties for up to 550 guests, charity events, welcome receptions or rehearsal dinners, workshops or seminars, corporate events. This residential-style event venue has a bright and open feel across all of its various rooms. 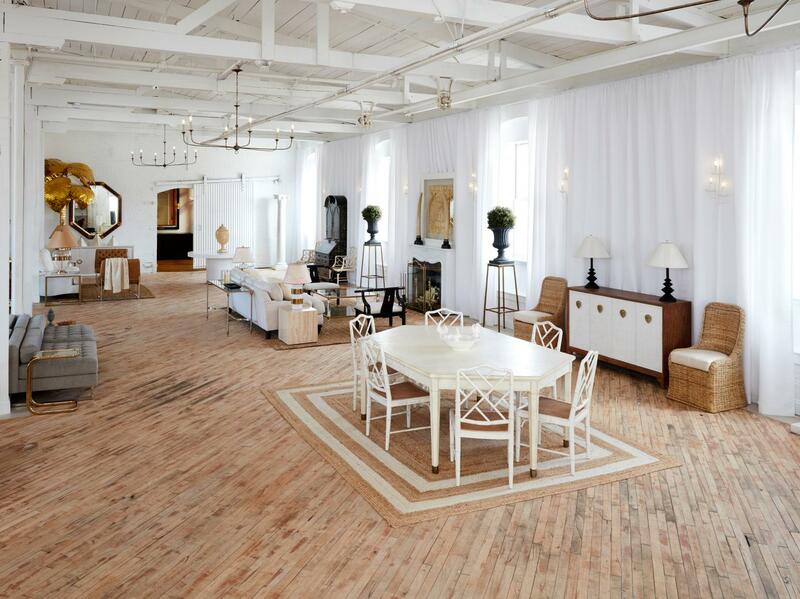 Maximalist Studios is equal parts event space, photo studio, chef’s kitchen, prop house, and visual dream space. 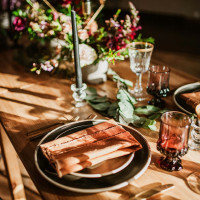 Good for: black-tie fundraisers, dinner parties with a sophisticated style, weddings and events for up to 300 guests, photo shoots, cooking classes, workshops, product launches. Rich hues and textures fill the walls of this new Vegas hotel, giving it a feeling of refined elegance. 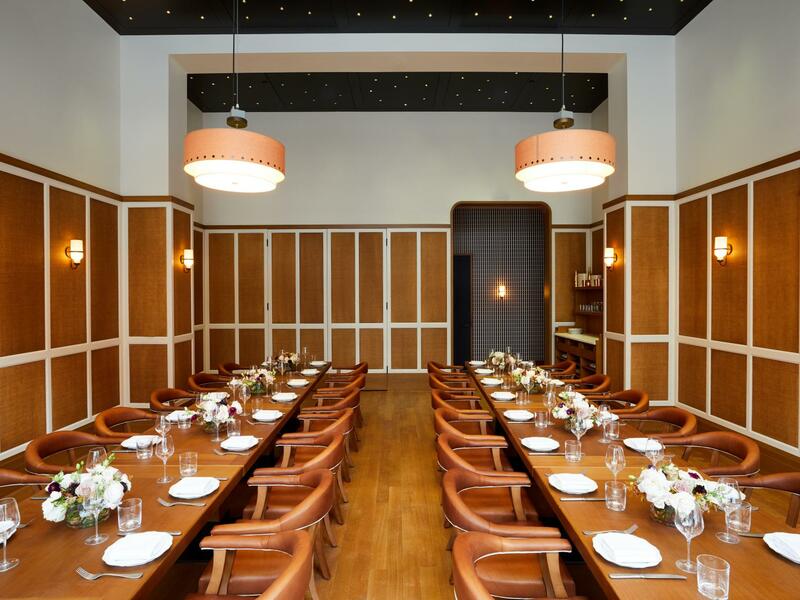 Suitable for events of up to 50 seated or 100 standing guests, the Parlor can be used in conjunction with the Salon to create a classy, sophisticated celebration setting. 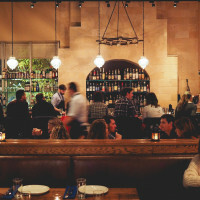 Good for: surprise parties, birthdays, anniversary parties, corporate events, dinner parties, meetings, private cocktail tastings, rehearsal dinners. 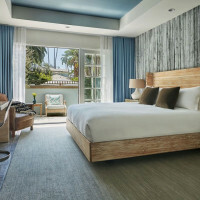 Located in the Gaslamp Quarter, just a few blocks from the San Diego Harbor, The Guild Hotel is scheduled to open later this year. 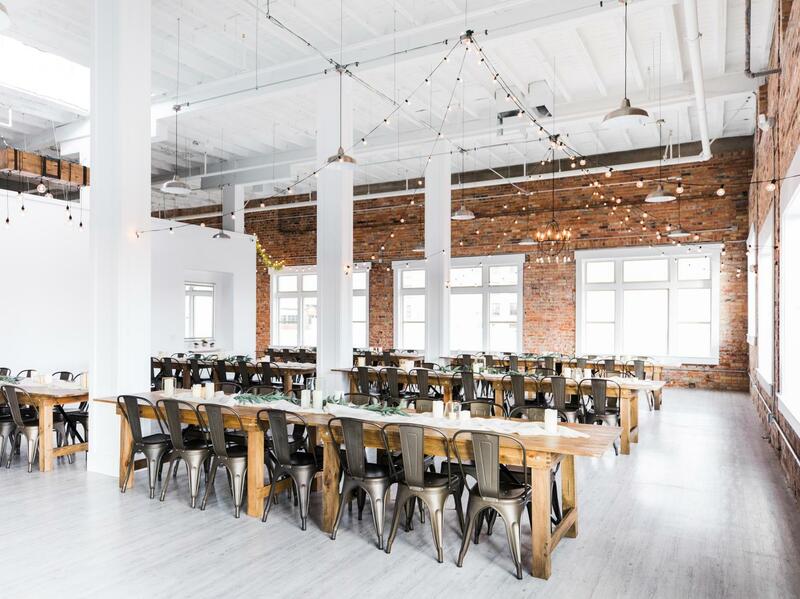 Inside, you’ll find a rad event space with towering ceilings, whitewashed brick walls, pale wood floorboards and tons of natural light. Good for: corporate gatherings that don’t feel stuffy, a downtown wedding reception, holiday parties, anniversary shindigs, bridal or baby showers. If ever you’ve flown into New York’s JFK airport, you probably recognize the iconic Eero Saarinen terminal that was in operation from 1962 to 2001. 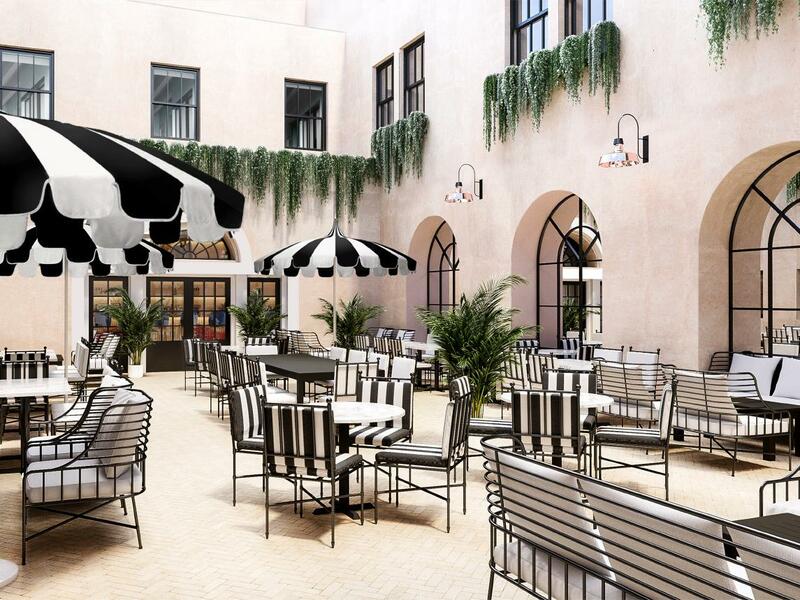 The terminal has recently undergone an extensive restoration and is set to open in mid-May as a 512-room hotel with a Sunken Lounge and Paris Cafe by Jean-Georges Vongerichten. But wait, there’s also plenty of event space for those who are down to party 1960s style. 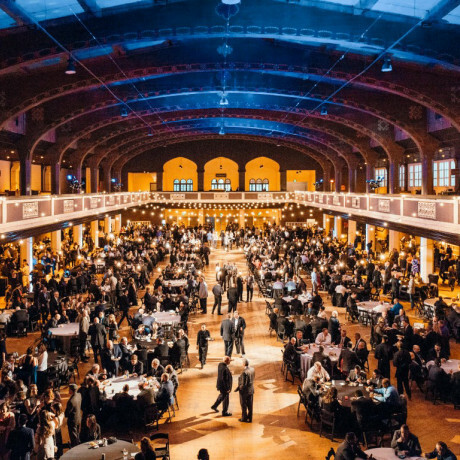 Ballrooms, meeting spaces, skyboxes and cocktail lounges are all options for events of as many as 1,600 guests. 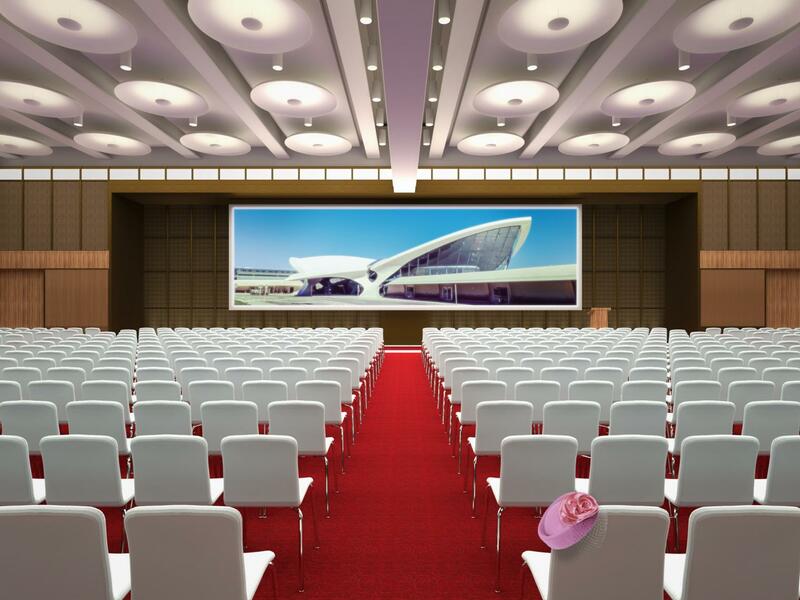 Good for: award ceremonies, corporate events, conventions, movie premieres, galas, trade shows, weddings with an authentic 1960s feel. 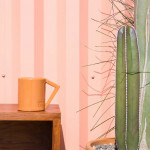 Prime desert territory, just near the entrance of Joshua Tree National Park, is home for this Yucca Valley ranch. There’s a private valley of boulders, a modern barn and two small homes on the property. 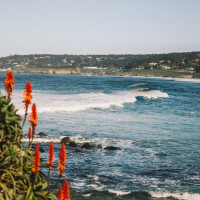 Good for: weekend getaways, bachelor/ette parties, weekend-long weddings, dinner parties, retreats, family reunions, celebrating milestones, yoga and reconnecting with friends. Some event planning and design services are available through the property and quite a few furniture rental options too. 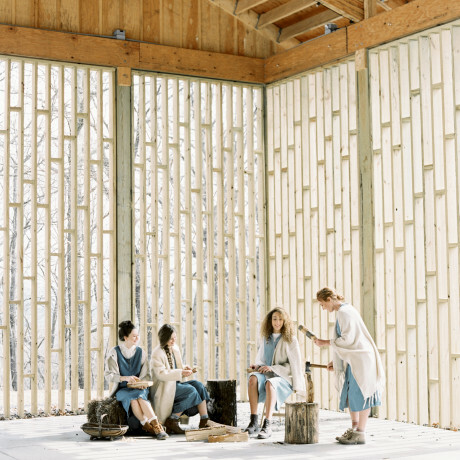 A true mom-and-pop venue (with two generations of moms and pops, in fact), Sixty Chapel was born of a genuine love of getting friends and families together and enjoying the great outdoors. On the grounds of this Garden Valley estate you’ll find an amphitheater that boasts gorgeous mountain views, a charming red barn that opens right out to the rolling green lawns, and lodging options that span from a luxurious log cabin and small cottages to glamping, camping and RV hookups. 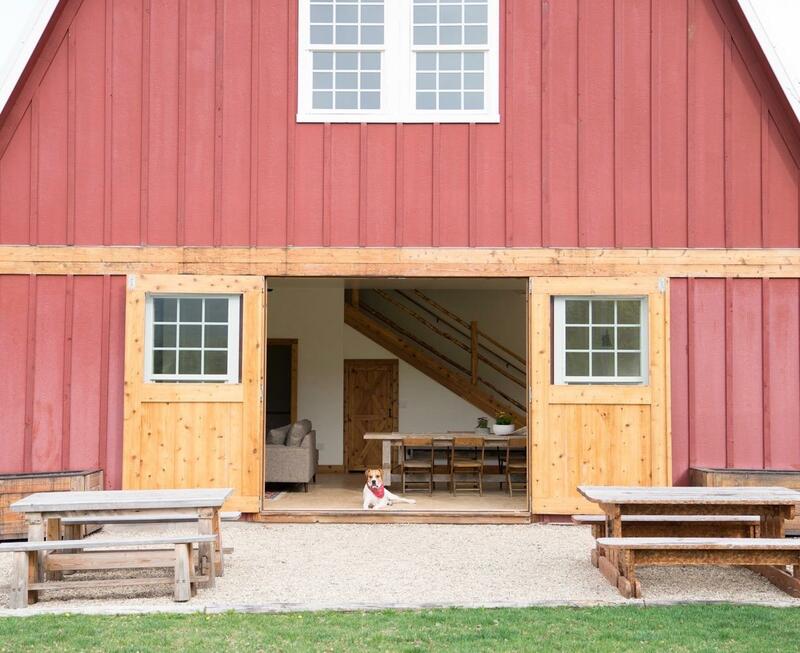 Good for: countryside weddings, glamping weekends, dinner parties in the barn, photo and film shoots, weekend retreats and getaways, a homebase for exploring the region’s many trails and water holes (hello, hot springs!). 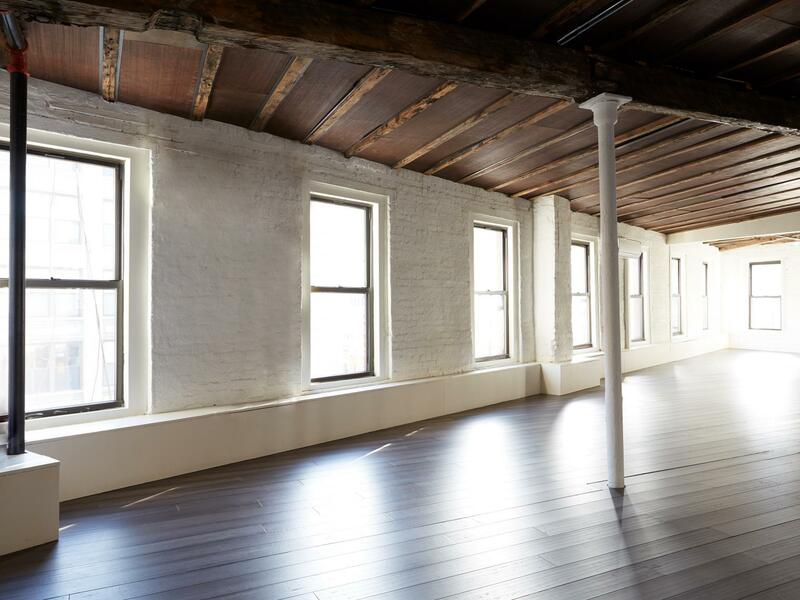 Newsflash: You can now rent out an entire loft space in NYC’s Meatpacking District and throw one next-level party. 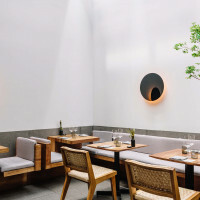 Bento on Hudson is a long, triangularly shaped space with beautiful wood beam ceilings, white walls and wood floors. Natural light pours in through wrap-around windows and you can book an event of up to 125 guests comfortably. 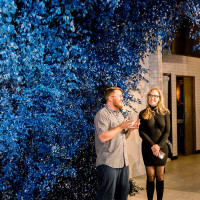 Good for: art exhibitions, pop-up shops, workshops, cocktail parties, intimate dinner parties, corporate holiday parties, photo shoots, birthday and anniversary parties. 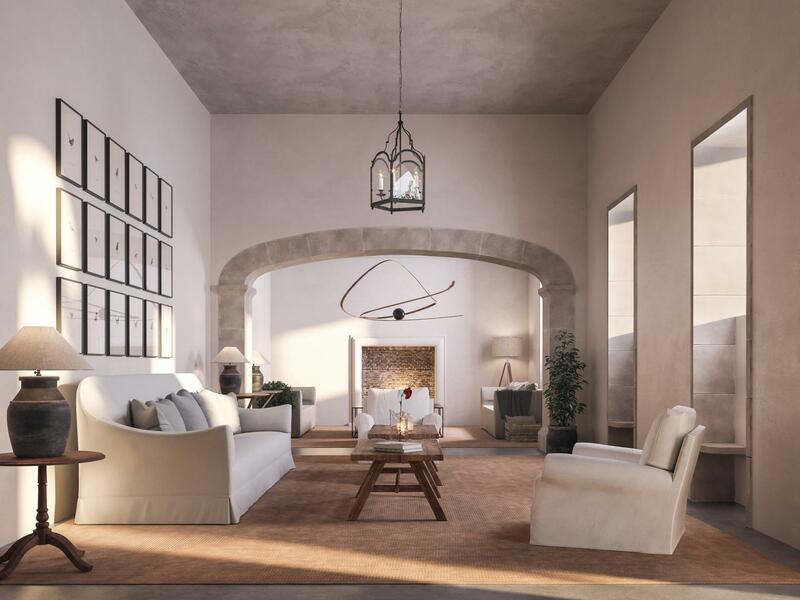 Set to open in April, the small luxury hotel Finca Serena in Mallorca sits atop rolling hills and vineyards with sweeping views of the valley. 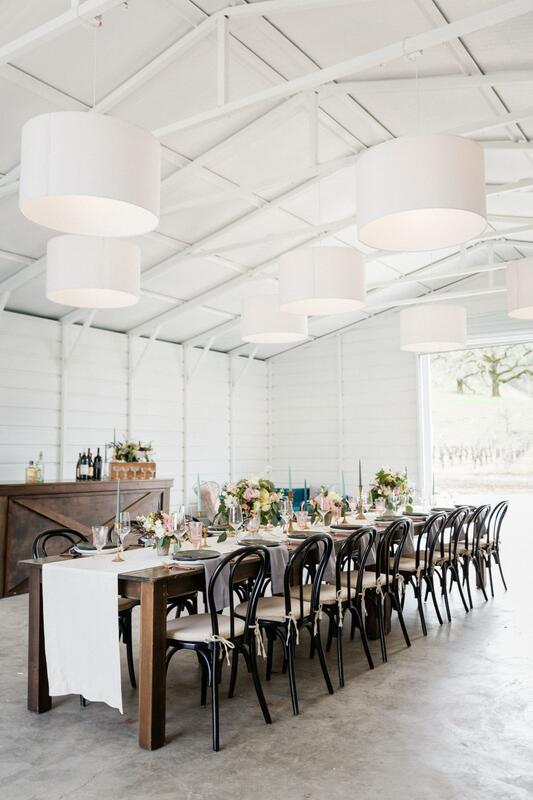 There’s a beautiful restaurant and enclosed patio where you can host long lunches or dinners, and the outdoor pool patio and rolling vineyards also set the scene for events of groups of up to 200. Good for: wine-centric events, dinner parties indoors or out, weddings with a gorgeous Spanish view. Fallen Oaks Estate sits just outside the city limits of Paso Robles, surrounded by gently rolling hills and vineyards on all sides. Weddings and events here take over the carriage house and grassy lawn, with accommodations available for a few guests. Good for: weddings, private parties, birthdays, photo or film shoots, dance parties under the oaks. 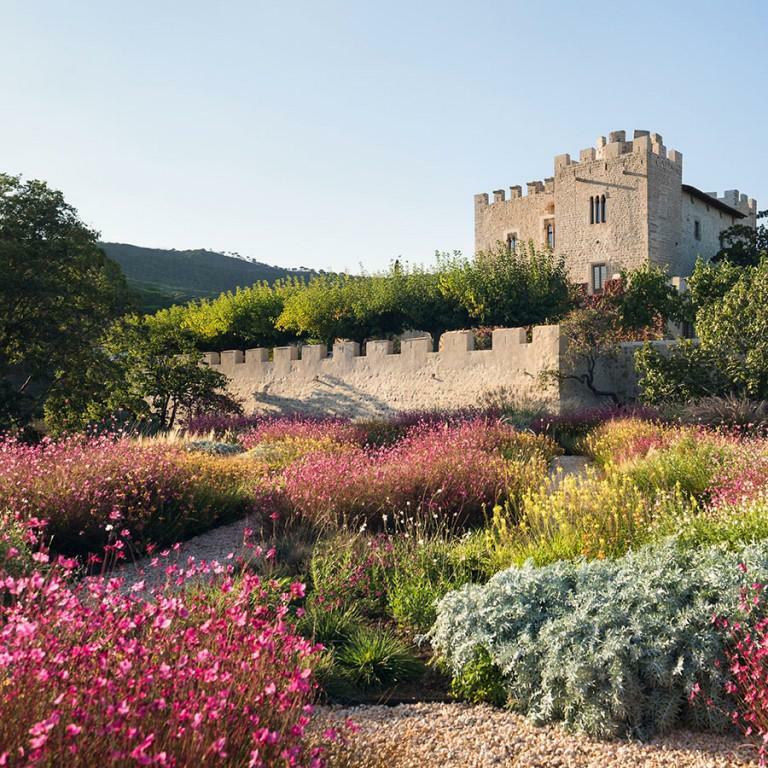 This 10th-century Spanish castle offers a gorgeous mix of old world architecture, modern interiors and beautifully aged gardens. The brand new glass-walled castle room known as The Dedalo shows off the surrounding hills and seaside views. 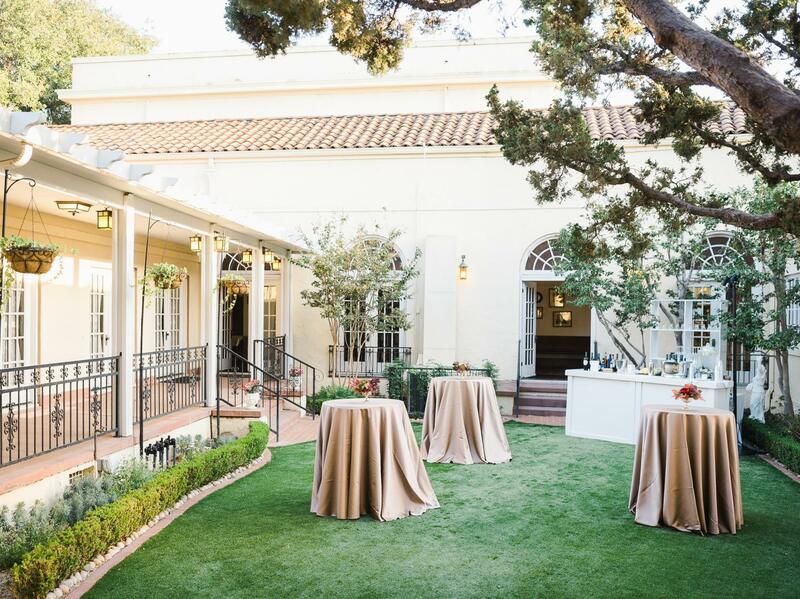 Good for: events that celebrate old and new, indoors and out, with up to 210 guests. 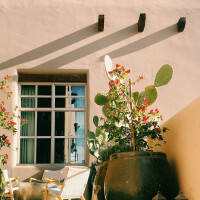 Take over the gardens during the day and head into the warm and welcoming modern space at night, finally resting within the casita’s cozy suites. Calling all warehouse admirers! 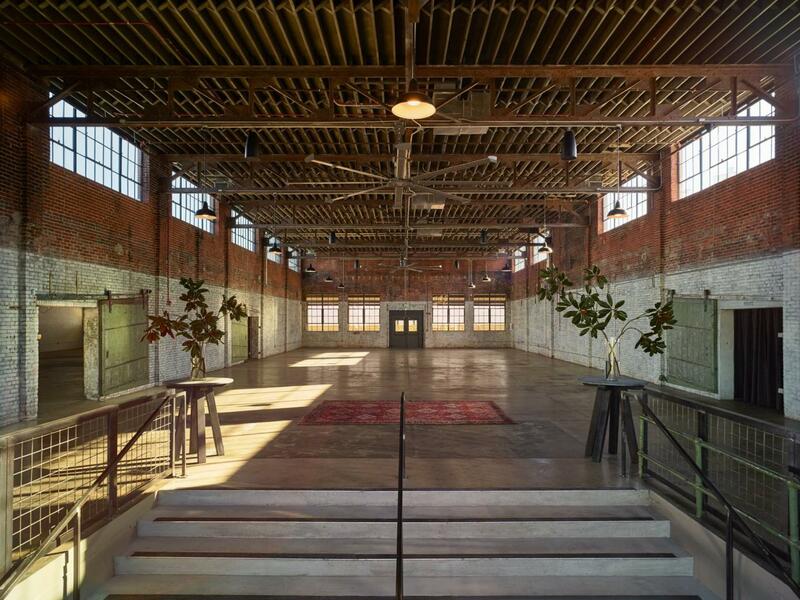 This spacious industrial venue in the historic Lakeview Industrial District of Birmingham has a handful of grand celebration spaces with massive ceilings and clerestory steel windows. There’s even a covered porch and courtyard area for guests who like to sip their cocktails outdoors. Good for: weddings of up to 500 guests, big parties and gatherings, award ceremonies, corporate events, workshops, photo shoots. This glossy new Portland hotel sets an exceptional scene for parties and weddings of up to 100 guests. With spaces that feel like cool art galleries or tucked-away living rooms, there are plenty of options for gathering here. 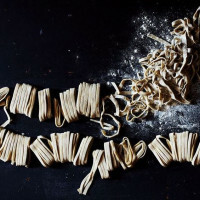 Plus, in-house catering comes straight out of the Bullard kitchen, known for bringing a Texan spin to the local bounty. Good for: intimate wedding receptions, corporate events, dinner parties, cocktail parties, board meetings, workshops, pop-up events. 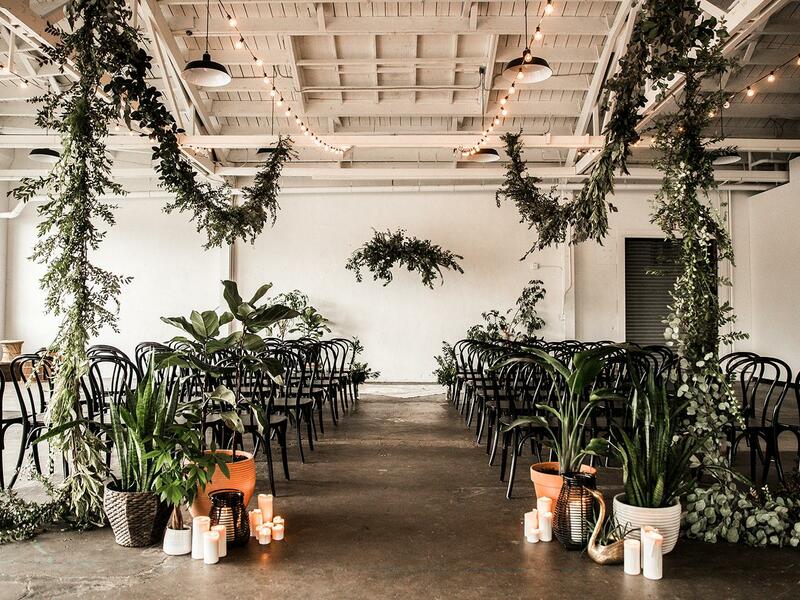 A New Orleans warehouse venue with a rooftop overlooking the river, Capulet can hosts events and weddings of up to 250 guests. 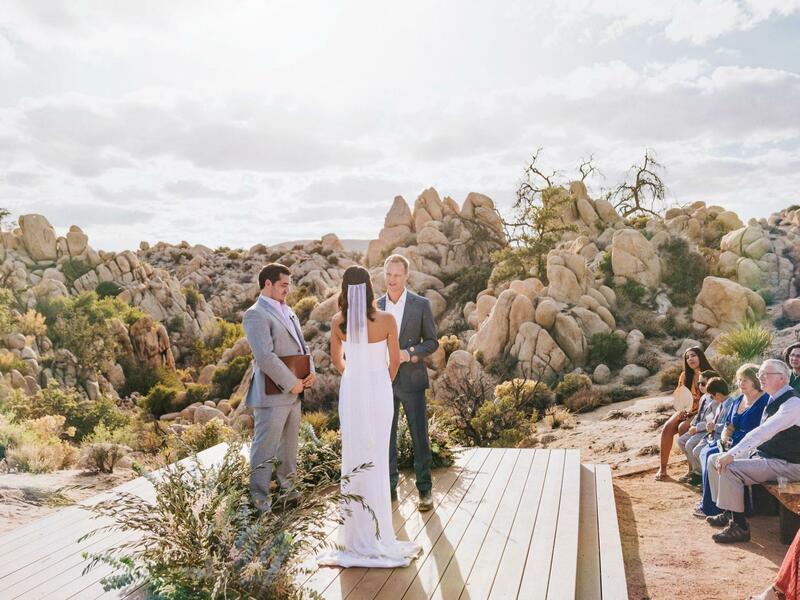 Have your ceremony on the roof, then head inside for dinner and dancing before hitting the streets for a late-night post-wedding bar crawl. Good for: weddings and private parties, epic birthday bashes, dinner parties, rooftop events, corporate gatherings in a cool space. Estes Park has a brand new event spot with sweeping panoramic views of the Rocky Mountains. SkyView’s scenery can be enjoyed from a big outdoor patio or from the comfort of a modern interior space with big glass walls. 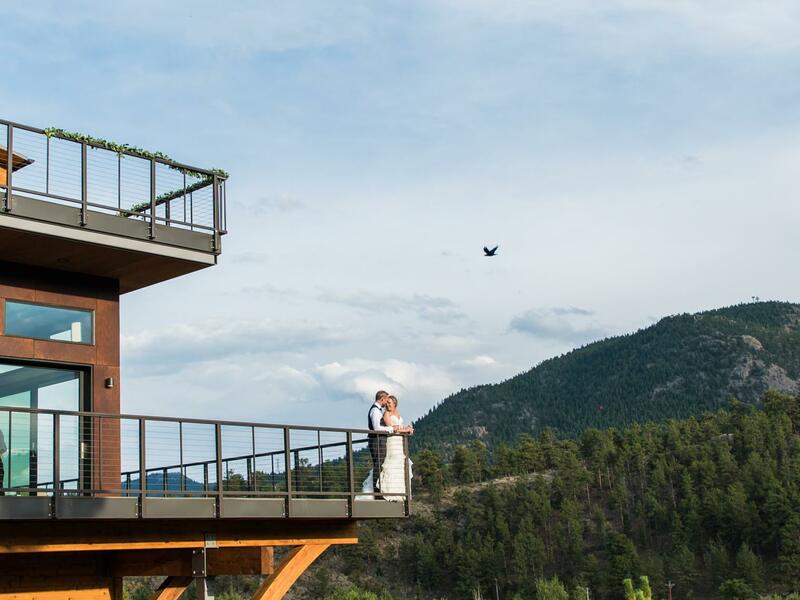 Good for: weddings with mountain views in summer or winter. 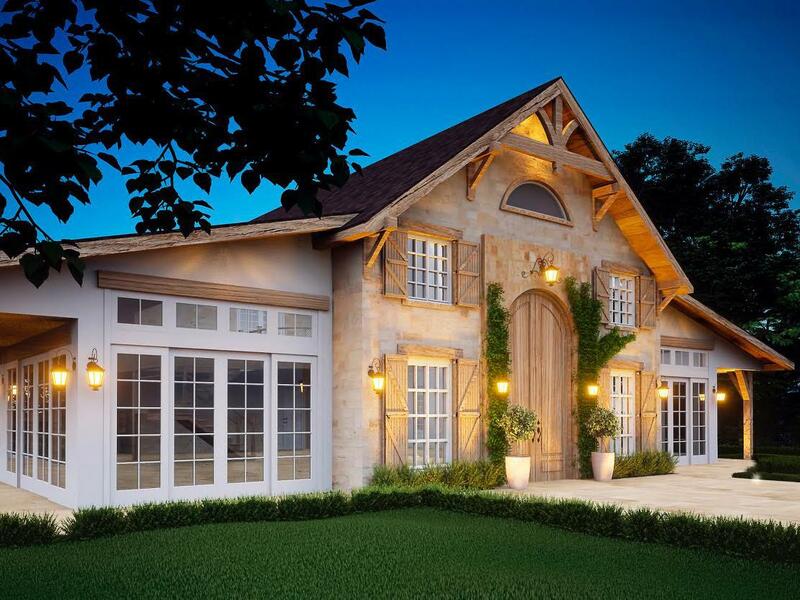 Set to open in 2020, The Farmhouse at Crossed Keys Estate mixes new architecture with historic details and lots and lots of natural light. 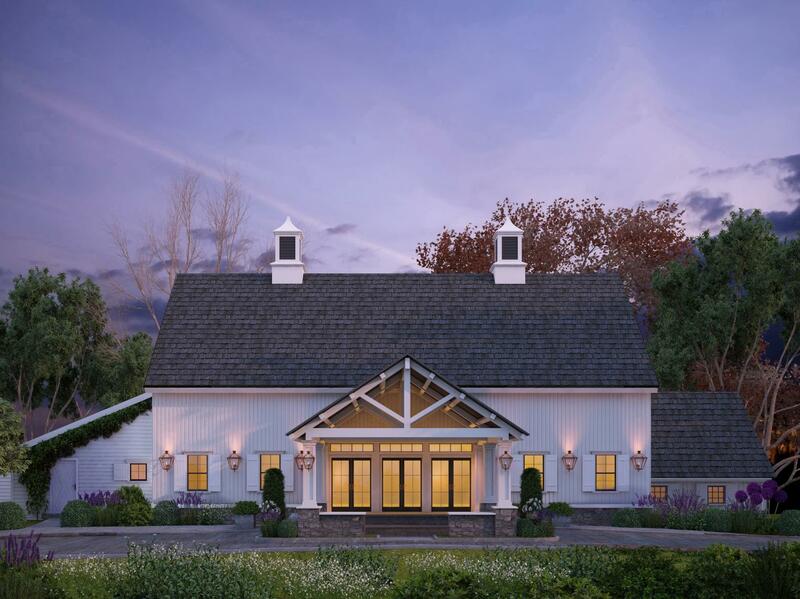 The main event space will feature huge ceilings, wood beams and a wall of windows and glass doors while the private bridal suite is guaranteed to add a calm atmosphere to the day. The beautiful ballroom at this historic English Tudor Revival-style property has hardwood floors, soaring ceilings, massive windows and tons of light pouring in. 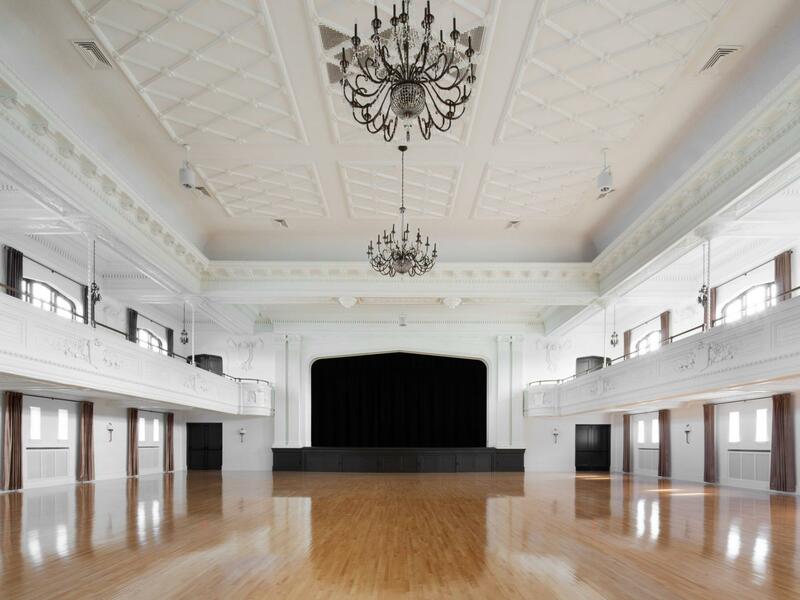 Good for: weddings of 300+ guests in the ballroom, or a rehearsal dinner or birthday bash in the boutique bowling alley. Rolling Greens Nursery sprawls over an entire city block of LA’s Arts District. There’s a ton of retail space for the nursery, but there are also gardens, decks, a tented pavilion, and private rooms inside the showrooms that can be rented out. 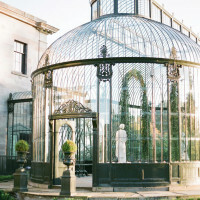 Good for: weddings under an existing tent for up to 250 guests, ceremonies in the greenhouse, garden bridal or baby showers, photo and film shoots, pop-up events, outdoor cocktail parties, corporate events, holiday parties. 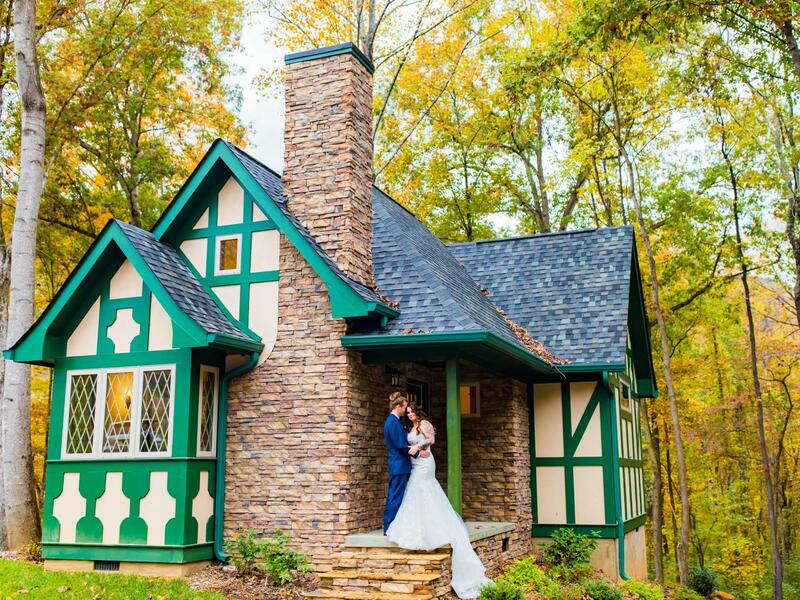 A collection of storybook Tudor style cottages, a grand manor with formal event space and beautifully cared-for gardens make up this family-run property in the Tennessee River Gorge. Whether you book a weekend stay in the cottages or decide to book the property out for a weekend filled with revelry, this spot delivers great views and an unforgettable experience. 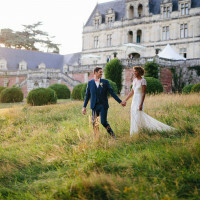 Good for: weddings with a romantic feel, weekend retreats for those looking to reconnect with nature, private events and garden parties. 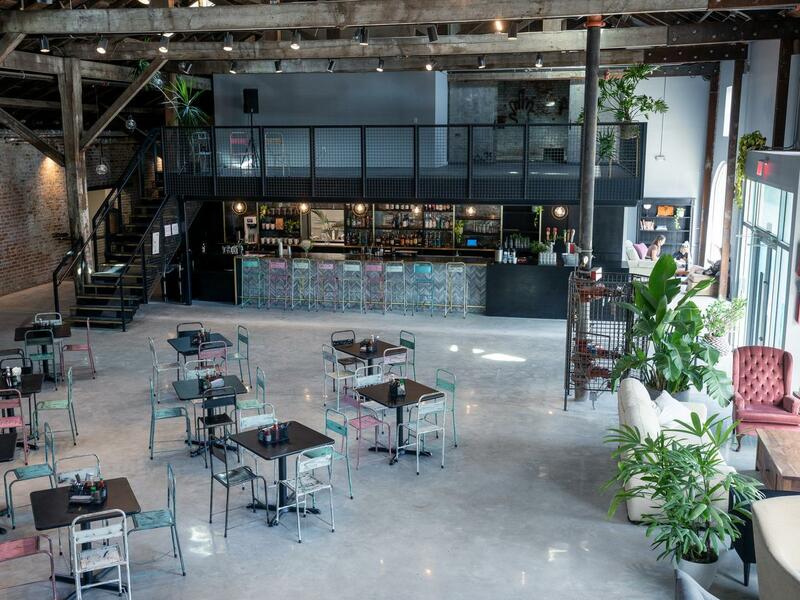 Located in East Brunswick, this former wool mill is now a multi-use events space, photo studio, performance venue and more. The space is spread over two levels with white brick walls and plenty of warehouse windows and exposed beams. 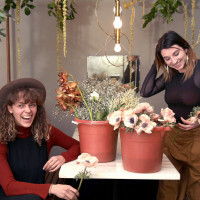 Good for: product launches, fashion shows, art exhibitions, workshops, pop-up shops, cocktail parties, dinner parties, weddings for up to 200 guests. 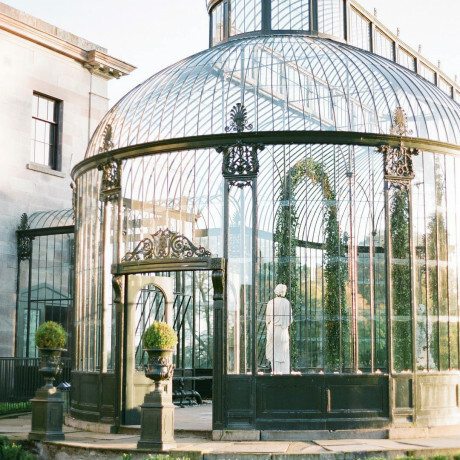 Asheville’s stunning landscapes and mountain views serve as a backdrop for weddings at this beautiful venue. The Chateau on The Ridge property is still under construction, but will open later this year and features tall wood beam ceilings, tons of windows for gazing at that view and a dramatic arched entrance. Good for: cocktail-style weddings and events of up to 250 guests, seated dinners and weddings of up to 175 guests, anniversary parties and vow renewals, holiday parties. Dreaming up a Downton Abbey style wedding? 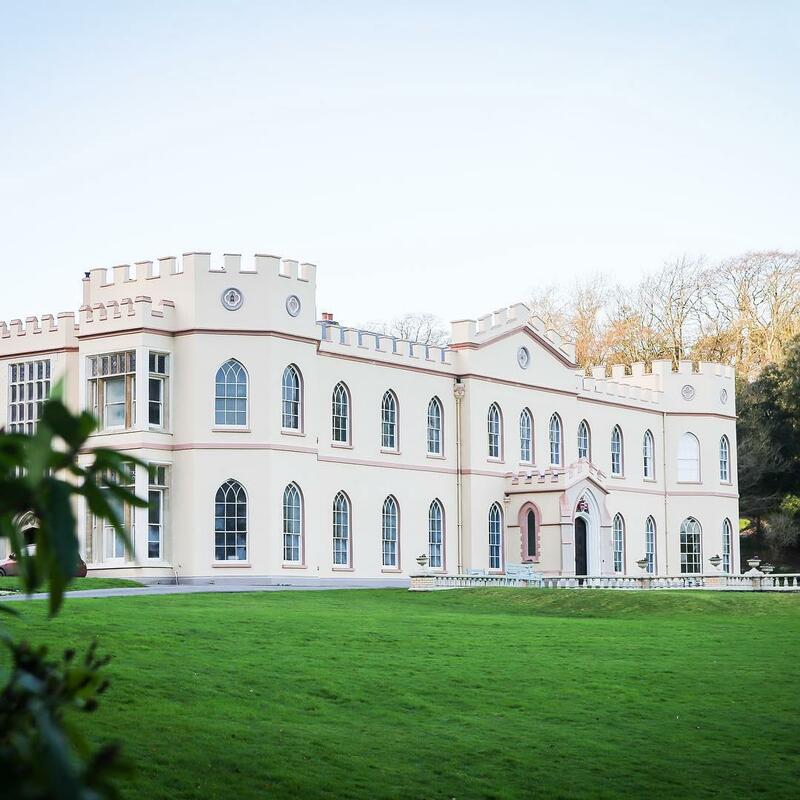 Check out this old English manor in the heart of Devon and take your pick of one of seven unique panelled halls or modern lounges. You’ll be able to sleep about 50 guests on the property and can host an event for up to 120. Good for: weddings, festivals, workshops, group getaways, retreats, reunions. Set in The Nations neighborhood of Nashville, 14TENN is surrounded by great local breweries, restaurants and shops. The space has a modern urban barn vibe, with exposed beam ceilings and roll-up garage doors, with all things painted white, white, white. 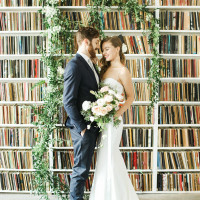 Good for: easy-to-plan weddings with in-house coordination and a solid list of local vendors. Also good for: social gatherings and corporate events of up to 300 seated guests. At this Victorian venue, you can exchange your wedding vows beside a pond with weeping willows as your backdrop before heading to an open hay shed for cocktails and lawn games and finally into a corrugated metal barn with concrete floors for dinner and dancing. Good for: weddings with nearby accommodations in Kyabram and Echuca. 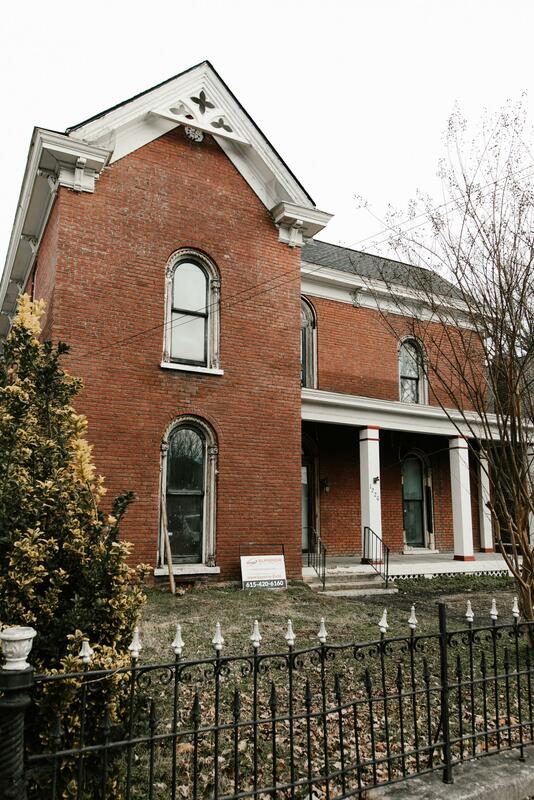 Worn in the best of ways, this historic 19th-century home in Nashville’s Germantown is undergoing a major reno and we can’t wait to see what the team behind Trot Home builds out of it. What we know so far is that there’s a stunner of a staircase, various hearths and mantels, and a whole lot of natural light flooding throughout. Good for: keep it on your radar for weddings, workshops and women’s events coming soon! 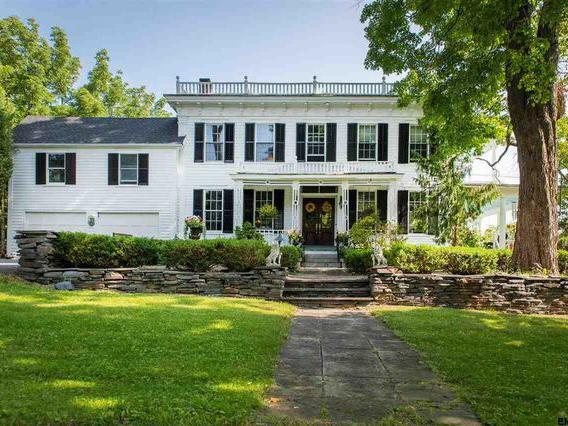 A 19th-century dairy barn and farmstead sits along the banks of the Hudson River at this secluded private estate. With views of the Berkshire and the Catskill mountain ranges, this spot feels worlds away from city life. Good for: weddings of up to 400 guests, holiday parties, extended dinner parties, fundraisers. 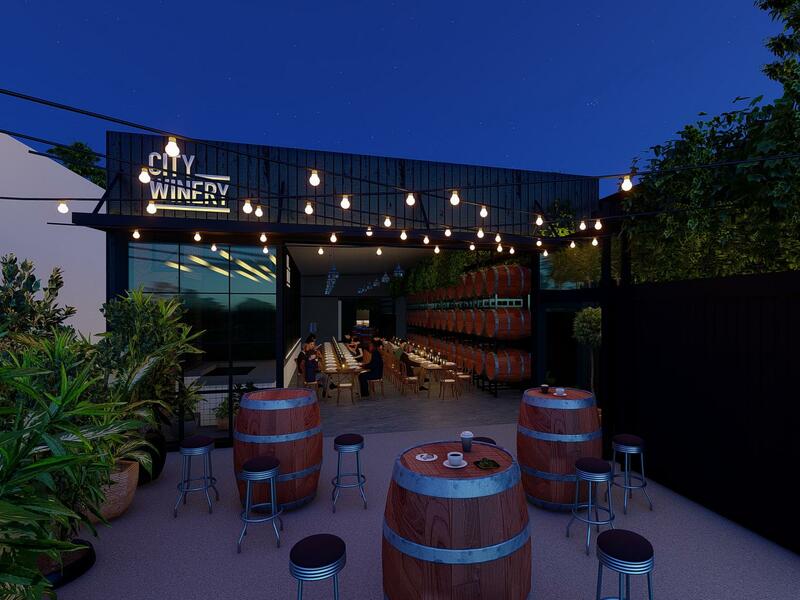 Brisbane’s brand new City Winery offers the city’s first inner-city winery since nearly 160 years ago. 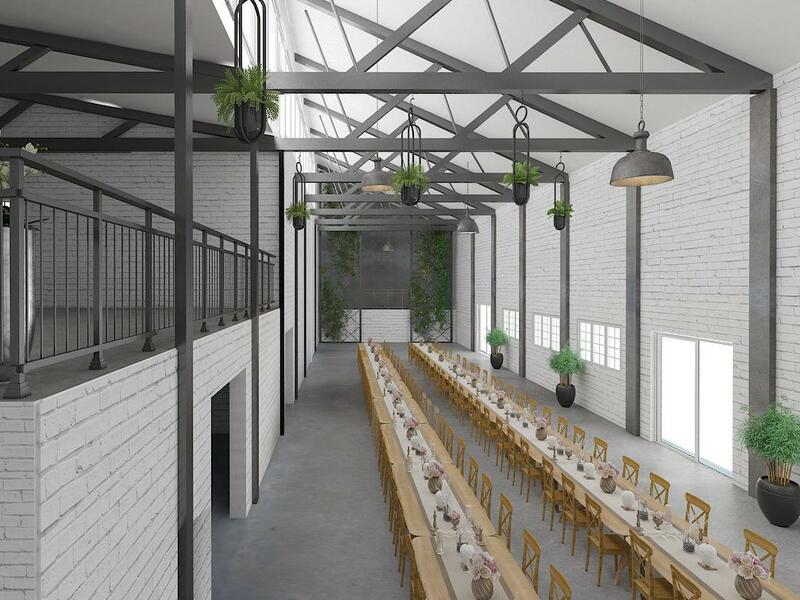 The converted warehouse space opens right out to a courtyard, making it a great go-to for events of up to 250 guests. 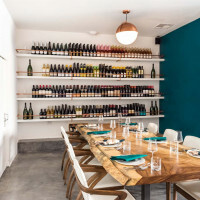 Good for: urban winery weddings, private cellar functions for smaller crews of 20 or less, restaurant bookings for birthdays and anniversaries, pop-up events and product launches, simply tasting wine. 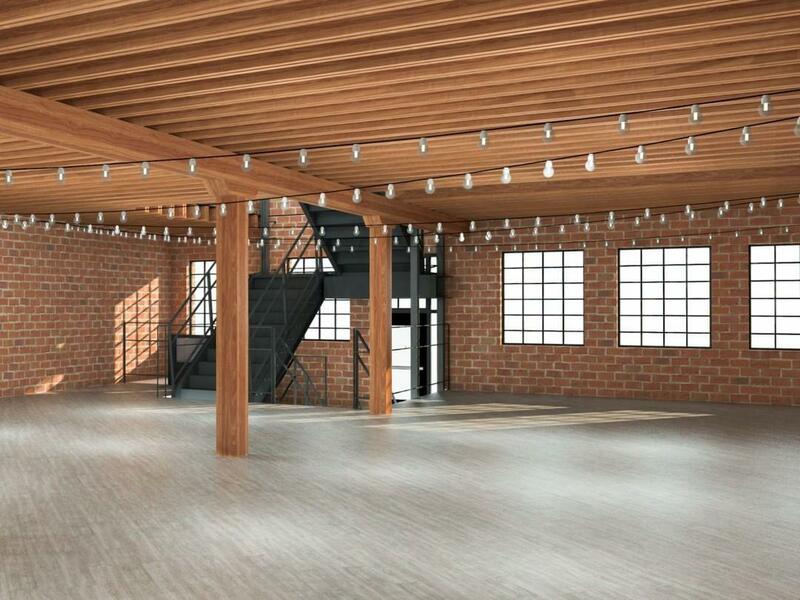 Exposed brick walls and tons of natural light make the space at UNION feel open and airy. 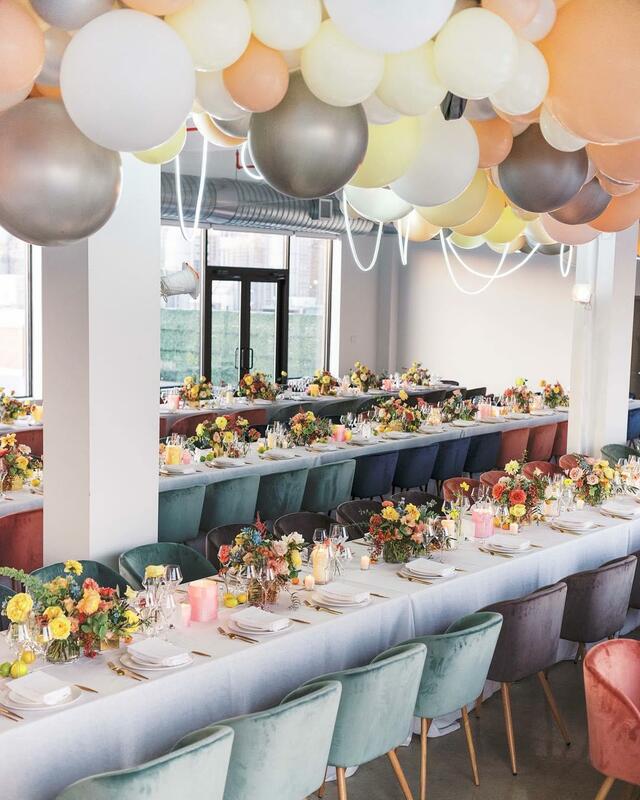 If you book the Everything Plus package here, your event rental will include a full-service wedding planner, ghost chairs and chiavari chairs for up to 150 guests, farm tables, a photo booth, and access to three stories of party space including a rooftop. Good for: cocktail parties of up to 300 guests or seated soirees of up to 150. 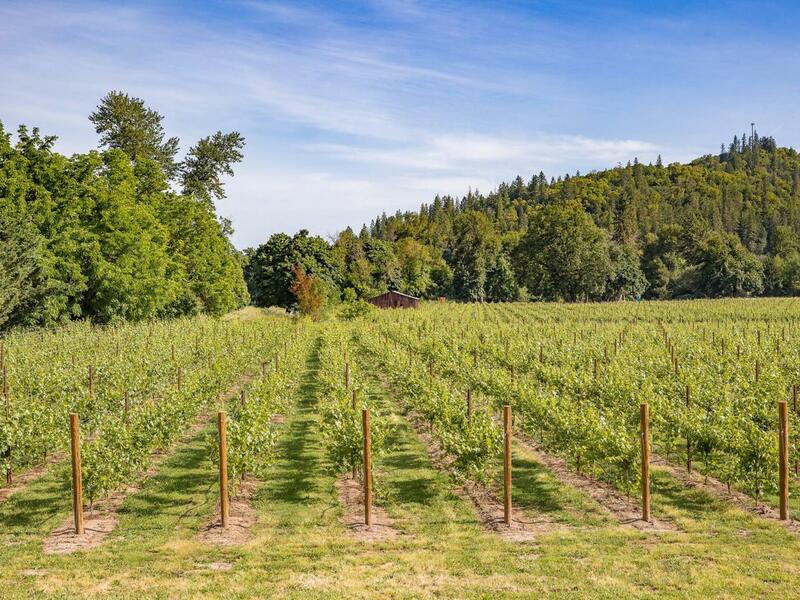 Oregon’s Applegate Valley wine country sets the bucolic scene for this family-run vineyard. If you’re envisioning an event that’s all about the outdoors, the sprawling green acres at Tirosh Vineyard have you covered. Good for: outdoor or tented weddings and events, garden parties, photo shoots, mini festivals. Built of traditional black shiplap timber and reclaimed wood, this rustic English barn venue sits in the rolling green hills of Surrey. There’s seating inside for about 100 to 125 guests, with floor-to-ceiling windows that peer out to some incredible sunsets. Good for: weddings in the English countryside, garden parties, holiday celebrations, birthday gatherings, corporate dinners. 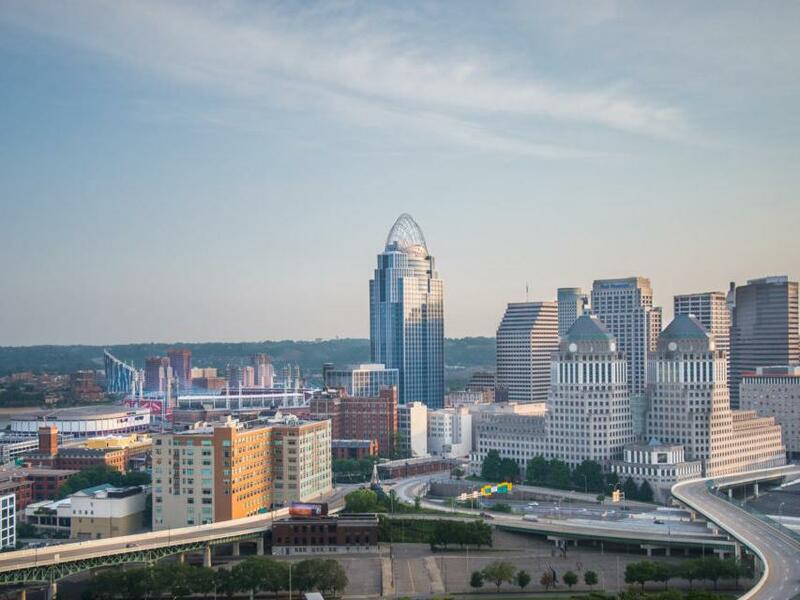 Cincinnati's latest cool event space sits right along the edge of Mt. Adams and promises sweeping views of the city skyline. The spot is run by Funky’s Catering Events, so you’ll be in good, experienced hands for an event of up to 250 guests here. Good for: weddings, rehearsal dinners, corporate parties with a view. This historic property dates back to the mid-19th century, when the main Colonial style home was built. Today the sweeping property also includes a big barn, a pond and multiple verandahs and gardens. The Maples Estate is currently undergoing a facelift and plans to reopen by summer with new event space and accommodation updates. Good for: weddings, retreats, reunions, group getaways, workshops, filming, photo shoots.